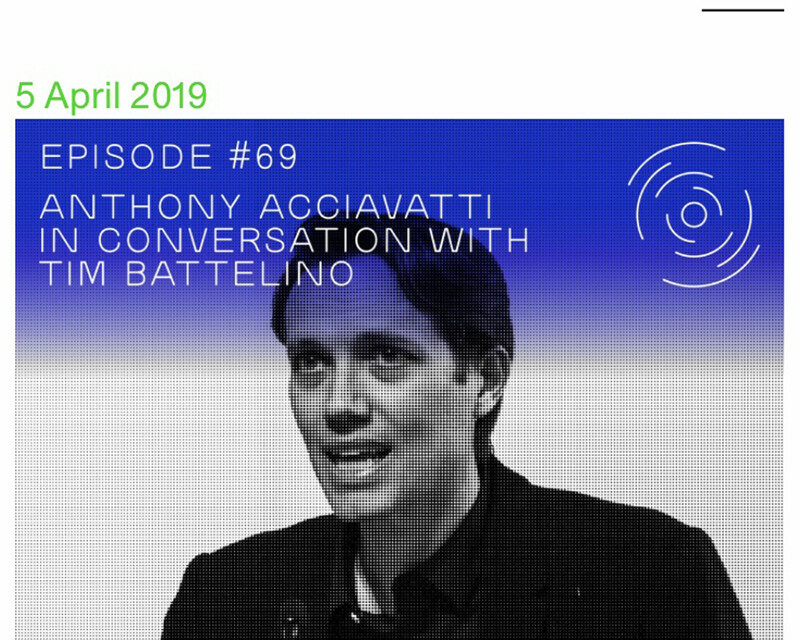 Columbia MARCH student Tim Battelino speaks with Anthony Acciavatti following his delivery of the 5th Annual Detlef Mertins Lecture on the Histories of Modernity at the Columbia’s GSAPP on March 25, 2019. 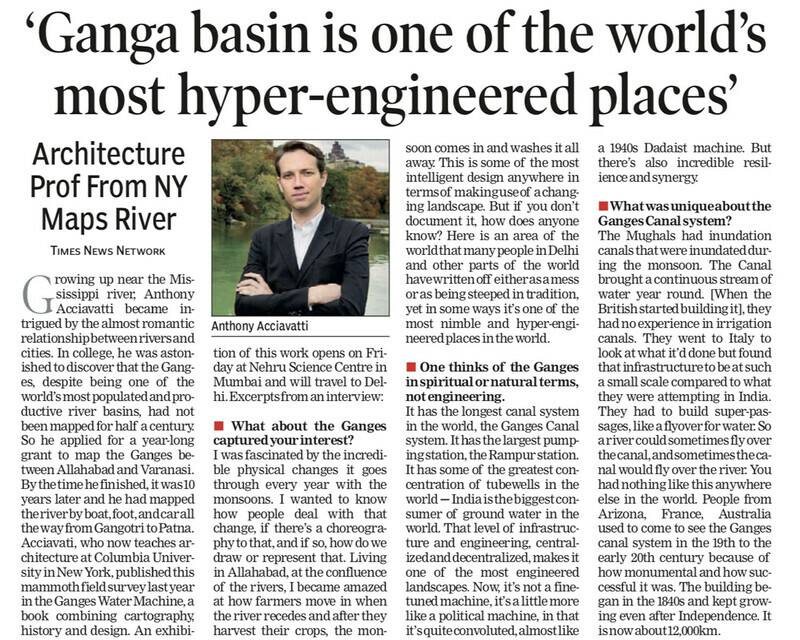 Anthony Acciavatti is a GSAPP faculty member, historian, cartographer, architect, and author of the award-winning book, Ganges Water Machine: Designing New India’s Ancient River, the first environmental and urban history of the world’s most densely populated river basin. On Tuesday, November 27th, a collection of students, design professionals, policy-makers, and members of the business community gathered to fill the auditorium at the Insper Institute of Education and Research for full day of presentations, discussion, and debate. The São Paulo: A Radical Evolution Symposium, was co-chaired by Felipe Correa and Sol Camacho, Cultural Director of the Bo-Bardi Institute. The event, organized by the UVA School of Architecture, hosted by Insper, and sponsored by the Haddad Foundation, invited notable designers, educators, and historians to present on topics addressed by the book, providing a robust public forum for discussion on the future urban development of the city of São Paulo. 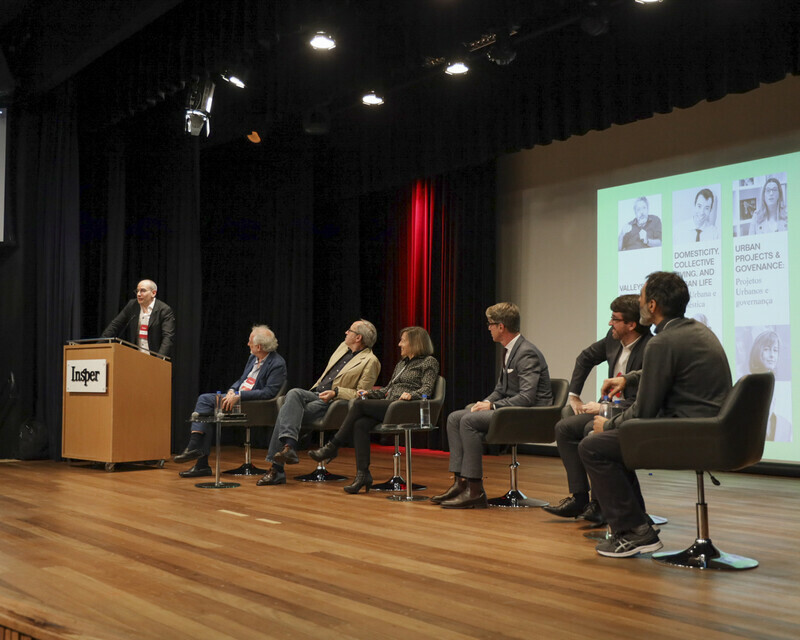 An exceptional roster of speakers, including Ila Berman, Michael Maltzan, Michael Sorkin and Thomas Woltz among many others, followed the introductory presentations by Claudio Haddad, Sol Camacho and Felipe Correa. 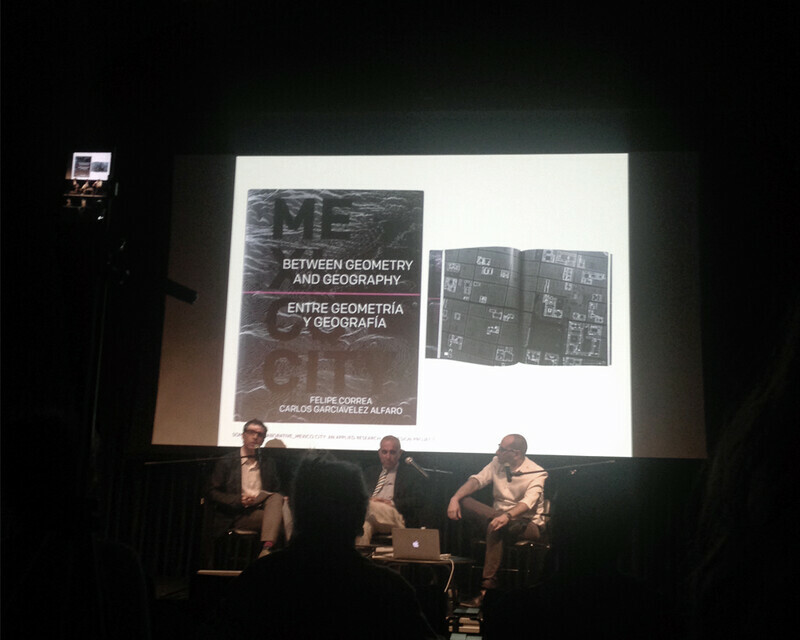 During his presentation on the publication, Correa stressed “how the book not only addresses many of the challenges São Paulo currently confronts, but it also singles out the many phenomenal architectural and urban lessons São Paulo has shared with the world…” Recognizing how rethinking São Paulo’s urban future can serve as a model city for other river cities around the globe, Correa’s proposed plan argued for a new approach towards the city’s rivers, “one that can integrate them back into the urban life of the city.” Additionally, Correa, acknowledged the generosity and vision of Claudio Haddad and the Haddad Foundation, for supporting the book project and allowing all these voices to convene in São Paulo. Read more about the symposium here. 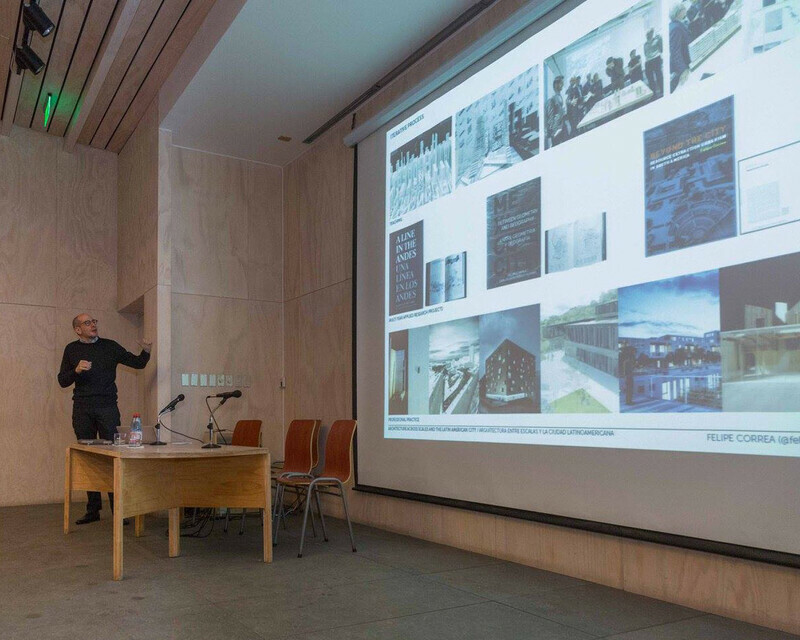 Felipe Correa gave a school wide lecture at Universidad Católica’s School of Architecture. Titled Architecture Across Scales and the Latin American City the lecture was the inaugural event for the new Master in Urbanism Program at Católica, and focused on the methodological and instrumental diversity of architecture in regards to the design of the contemporary city. A review of the event and Correa’s visit to Santiago can be found at Universidad Católica de Chile. From 18-27 August the Columbia Global Centers | Mumbai is organizing ‘The River Ganga: India’s Iconic Water Machine,’ an exhibition by Somatic Collaborative’s partner, Anthony Acciavatti at the Nehru Science Centre. Acciavatti embarked upon a decade-long systematic study and comprehensive mapping of the infrastructural transformation of Ganga, to understand how human intervention and engineering have shaped its water management and use. More information on the exhibition at the Columbia Global Centers website. The Perched House was featured in the Ways of Life exhibition as part of Documenta Urbana. 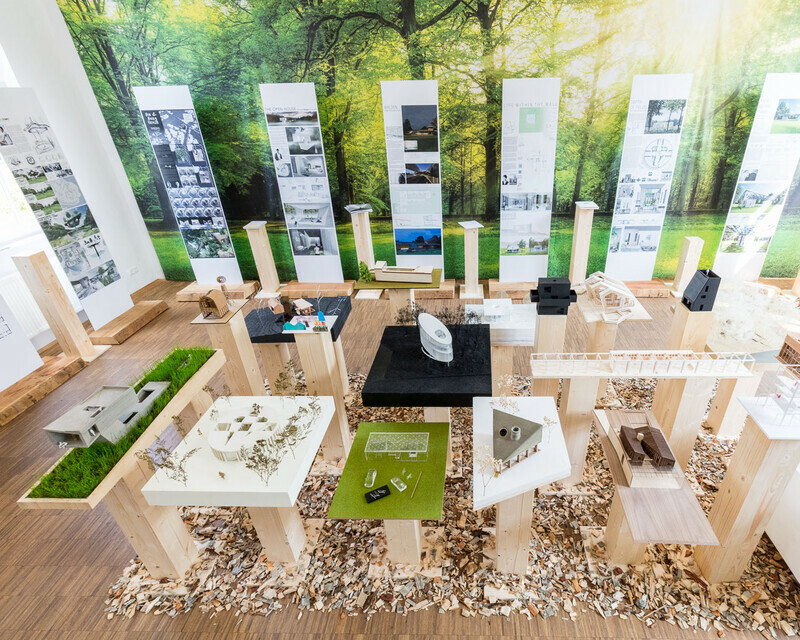 The exhibit brought together twenty architecture studios from across the globe to rethink ideas of living and working in non urban contexts through the design of a 90m2 home. Check out the writeup in Architectural Digest. Felipe Correa, managing partner at Somatic Collaborative and Associate Professor at Harvard University’s Graduate School of Design, was interviewed by urban economist Edward Glaeser for Harvard’s EdX. 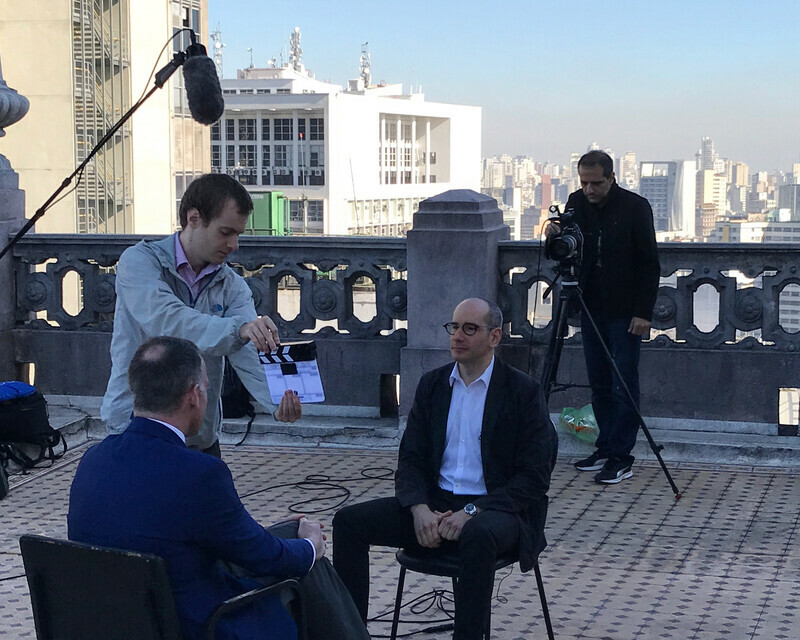 A one hour interview that will be part of the online educational platform focused on Correa’s recent Sao Paulo: Forms and Actions Applied Research project currently being developed at Harvard and the role of the architect in shaping cities in Latin America. 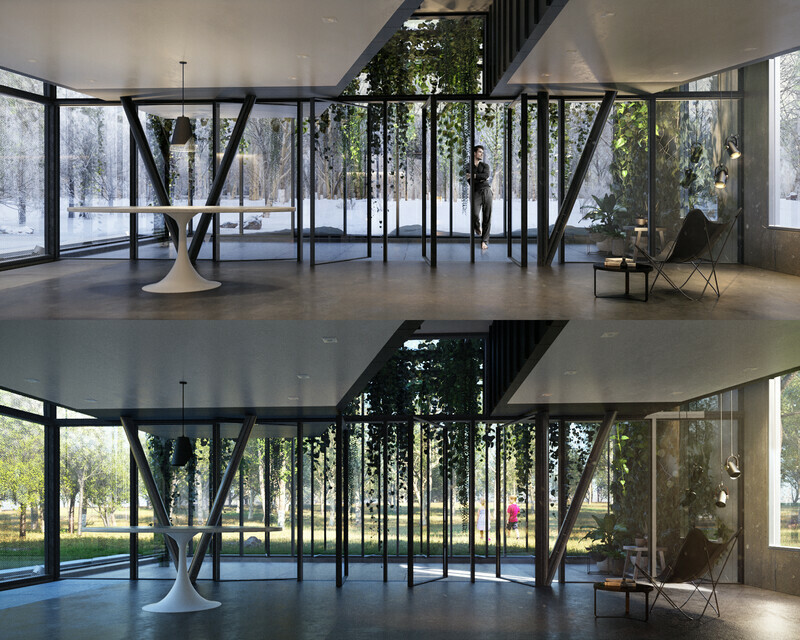 Conceived as a house embedded in a 21st century winter garden, the Perched House examines how two architectural elements —a sole service core and a perimeter wall— can effectively organize a new model of live, work, and leisure, by giving spatial hierarchy through a single volume while simultaneously dissolving the boundaries between interior and exterior. Somatic Collaborative is one of twenty architecture offices to take part in Ways of Life. Ways of Life is an investigation into the new condition of working in close proximity in nature. The time ‘after work’ was traditionally where ‘life’ began. Today, the line between work and life has never been so blurred. More people now work from home than ever before, which has also enabled a new nomadicism into the countryside and nature. 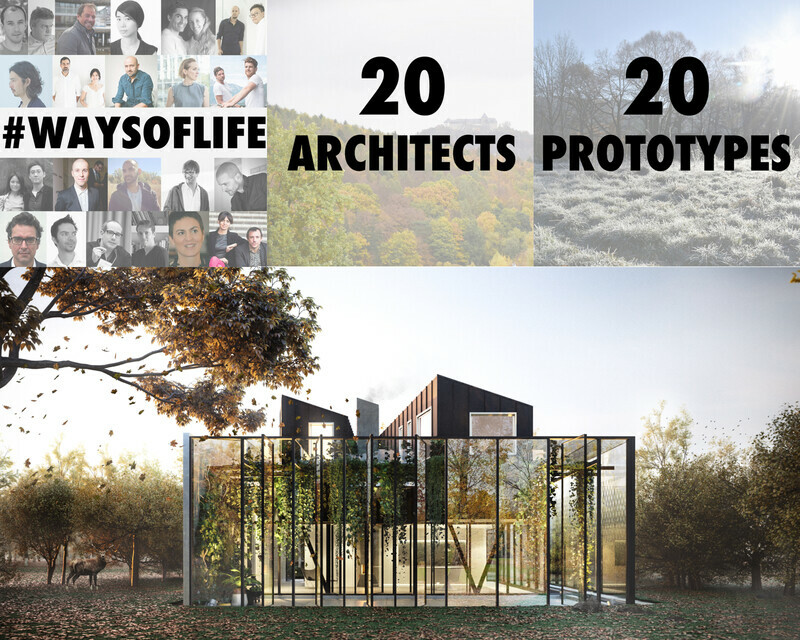 The following emerging offices from around the globe have been asked to develop a prototype dwelling that immerses work in nature while clarifying the relationship between work/ life and the individual / collective. The projects will be present at EXPERIMENTA URBANA, a co-event with documenta 14 in Kassel/Germany on July 5th 2017. Felipe Correa recently published Jakarta: Models of Collective Space for the Extended Metropolis as a research report. 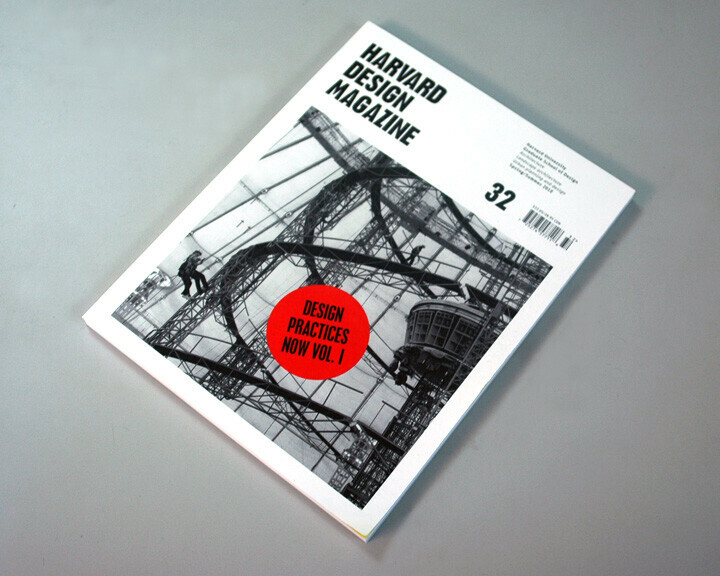 The publication documents the research and design studio conducted by Correa at Harvard During the 2015-2016 academic year. The project examines mass transit infrastructure in a context of extreme rapid urbanization as a driver for new models of collective space. Focusing on the metro station, the projects explore how a mixed programmatic brief paired with a precise design intervention can redefine relationships between mobility, real estate development, and collective space. 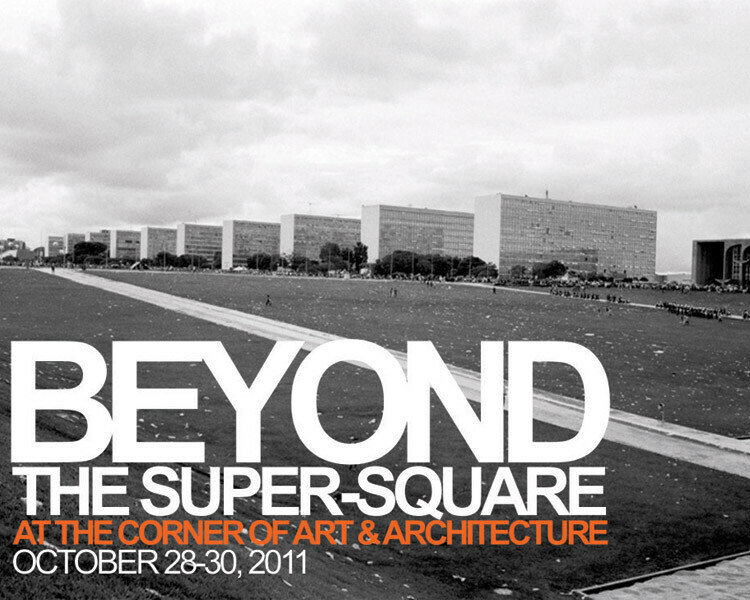 Architect and architectural critic Michael Sorkin reviews Correa’s Beyond the City for Architectural Record. Link to the full review here. The exhibition, Jakarta: Models of Collective Space for the Extended Metropolis, which documents the work developed in the advanced option studio taught by Felipe Correa at the Harvard Graduate School of Design, opened Tuesday, May 31st at the Jakarta City Hall. 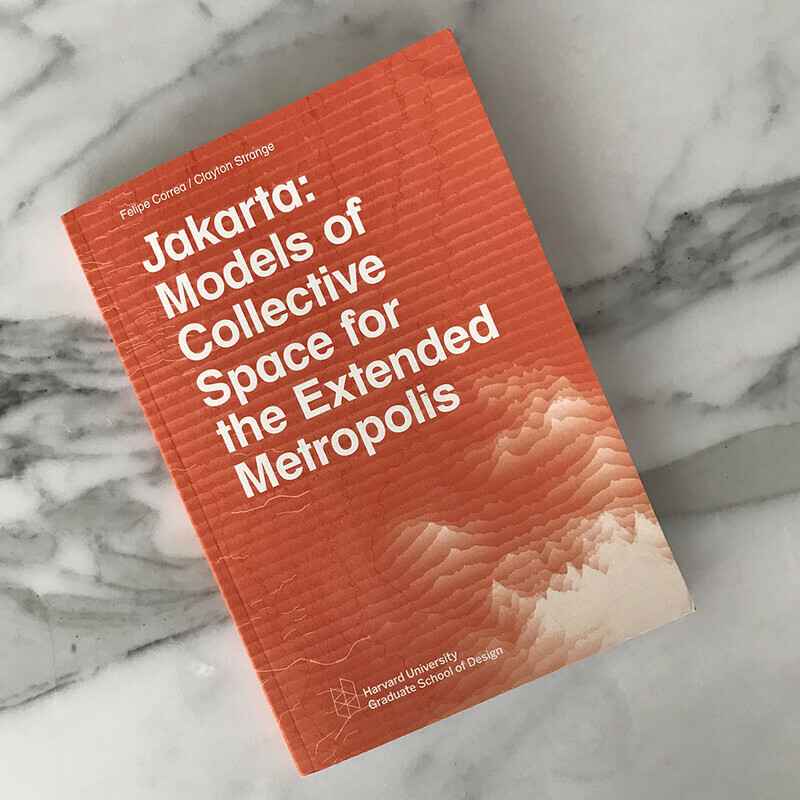 The work examines how recent investment in mass transit (the introduction of the first metro line in Jakarta) can reframe transit oriented development as the backbone for new collective space projects. 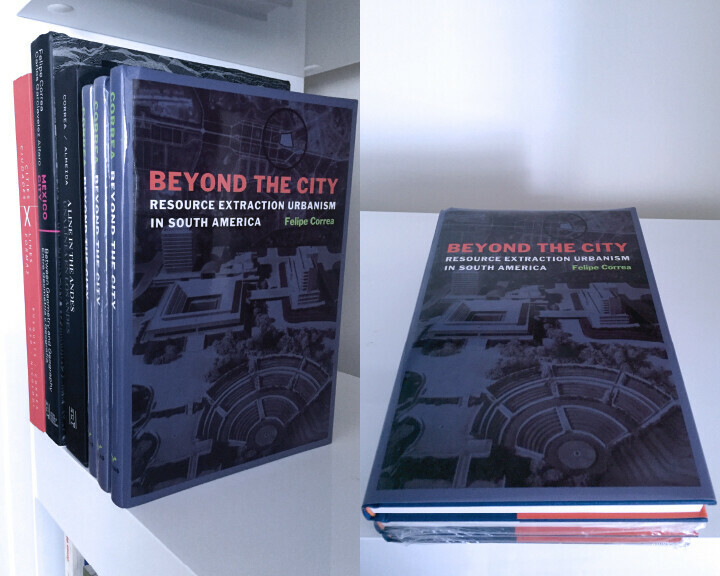 Felipe Correa recently released Beyond the City: Resource Extraction Urbanism in South America, published by the University of Texas Press. More information on the book can be found here. 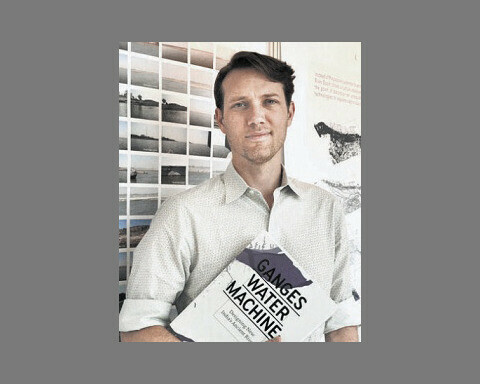 Anthony Acciavatti’s Ganges Water Machine: Designing New India’s Ancient River was awarded The John Brinckerhoff Jackson Book Prize for 2016 by the Foundation for Landscape Studies. Ganges Water Machine on Amazon. Ganges Water Machine: Designing New India’s Ancient River, a book authored by Anthony Acciavatti, was launched at the Architectural Association in London. The book is the first comprehensive mapping and visualization of the basin in half a century. 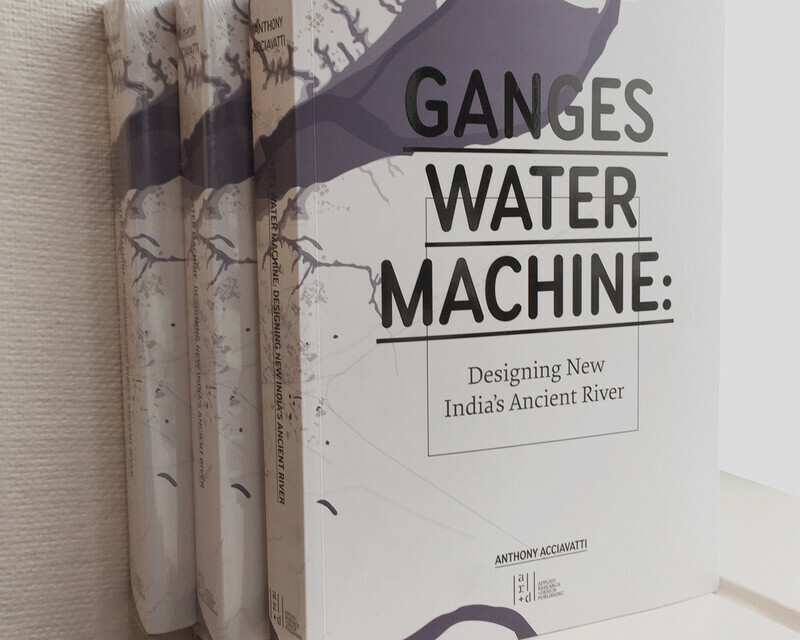 Ganges Water Machine: Designing New India’s Ancient River, a book authored by Anthony Acciavatti, was launched at the StoreFrontLab in San Francisco as part of the Water Machines symposium. The book focuses on how design at its various scales—from data visualization to the design of mapping instruments, and from temporary housing to irrigation infrastructure—can provide new vantages to better understand and respond to environmental conditions and their social impacts. Anthony Acciavatti sits down with Omair Ahmad of New Delhi-based water non-profit organization The Third Pole to discuss Ganges Water Machine: Designing New India’s Ancient River and changes taking place throughout India’s Gangetic plains. A link to the full story, published in Scroll, can be found here. 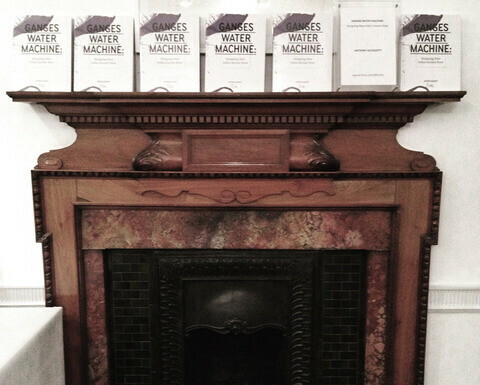 Anthony Acciavatti presented his book, Ganges Water Machine: Designing New India’s Ancient River at the Centre For Policy Research in New Delhi. The lecture was followed by a Q and A session focusing on issues of water management, urban growth, and data visualization. Ganges Water Machine: Designing New India’s Ancient River, a book authored by Anthony Acciavatti, was launched at the CMS Vatavaran Film Festival in New Delhi. Very well received by major Indian media, the book is the first comprehensive mapping and visualization of the basin in half a century. Links to select press items can be found below. Anthony Acciavatti presented his recent work on the Ganges at the Center for South Asian and Middle Eastern Studies at the University of Illinois Urbana-Champagne. The lecture was followed by a Q and A session focusing on mapping and visualization. 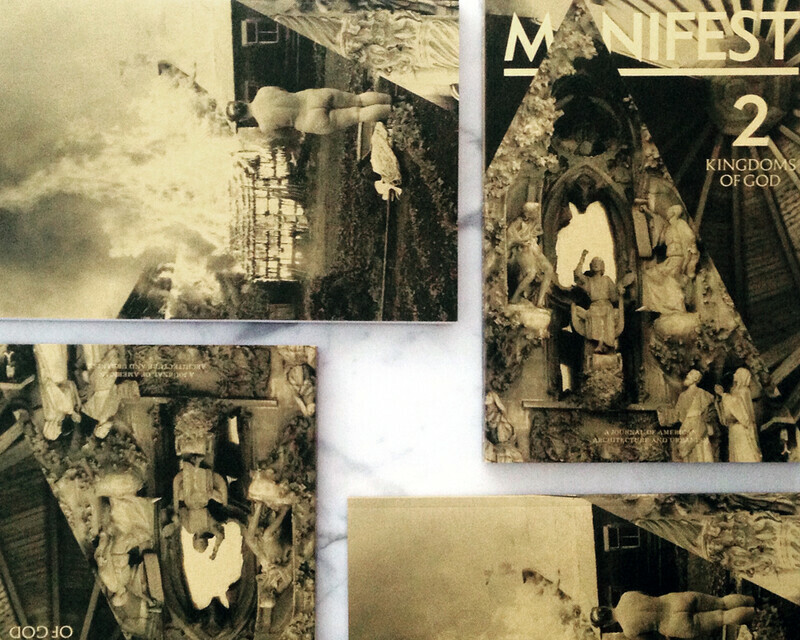 Manifest Issue 2 Out Soon! 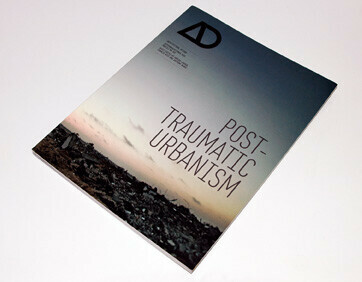 Issue # 2 of Manifest Journal of American Architecture and Urbanism coming out soon. Pre-order your copy here. 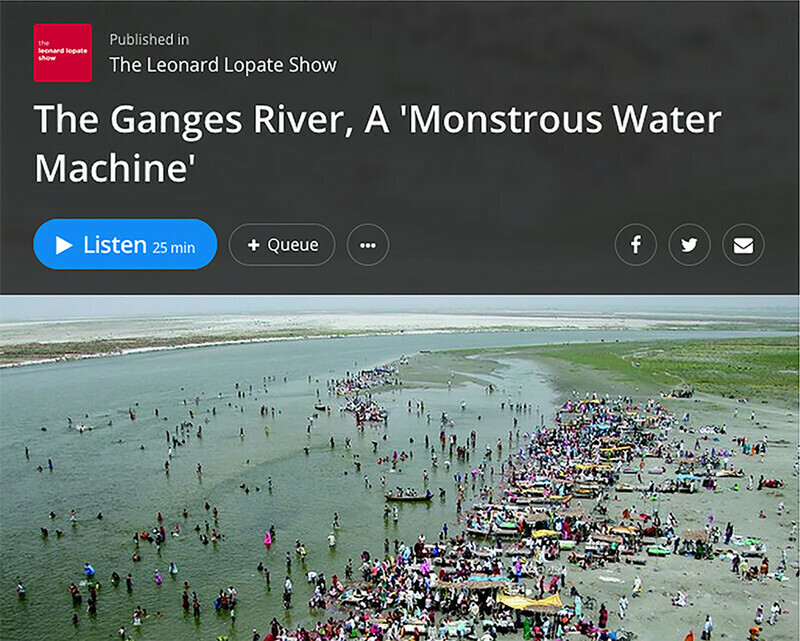 Anthony Acciavatti sits down with Leonard Lopate at WNYC’s studios to discuss his decade long project of hiding, driving, and boating across the Ganges River basin to write Ganges Water Machine: Designing New India’s Ancient River. A link to the full audio of the interview can be found at www.wnyc.org or downloaded on itunes. Felipe Correa presented his recent work at the Parrish Museum. The lecture was followed by a Q and A session focused on the urban future of the Hamptons. 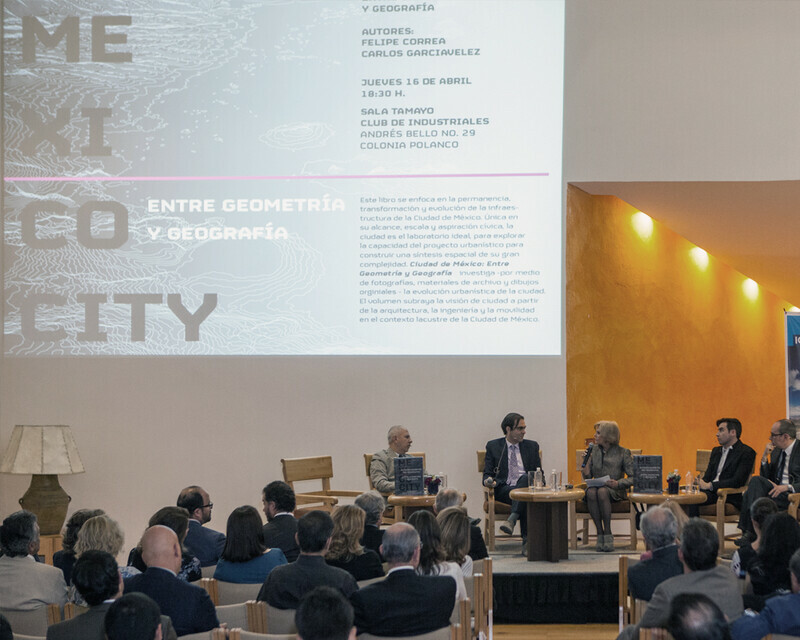 The book, México City: Between Geometry and Geography, authored by Felipe Correa was launched at the Club de Industriales in Mexico City. 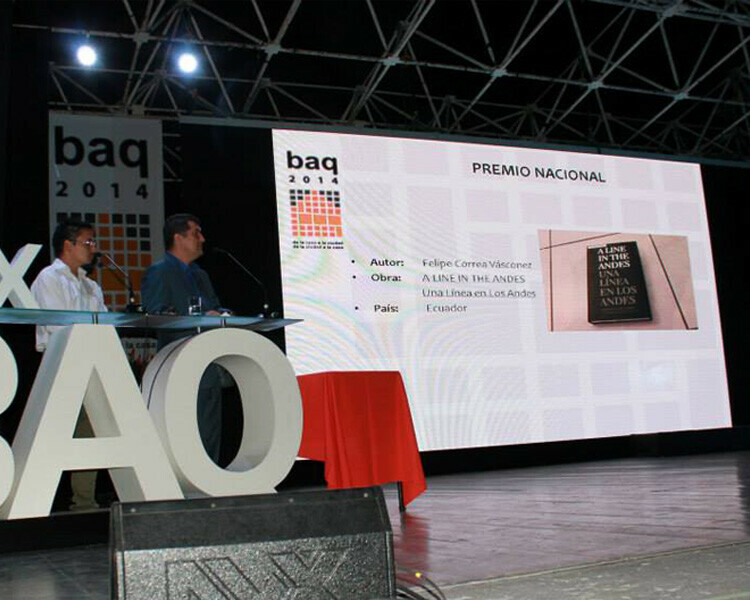 Very well received by major Mexican newspapers, the book portrays a graphic biography of the city’s urban evolution. Links to selected press items can be found below. 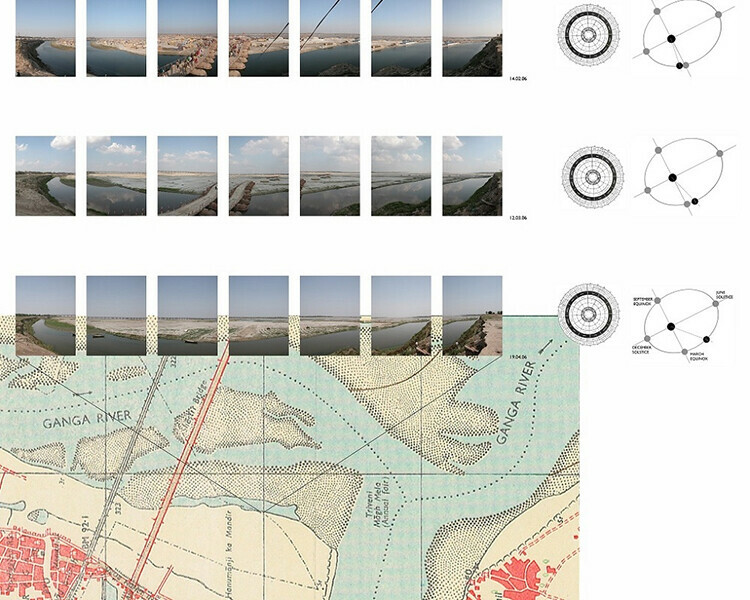 The outcome of a decade long study of India’s Ganges River Basin, Anthony Acciavatti’s Ganges Water Machine: Designing New India’s Ancient River, will be released by ar + d publishing. With the support of grants and fellowships from the Ford Foundation and Harvard University, the book is the first comprehensive survey of urbanization and infrastructure of the world’s most densely populated river basin, the Ganges. 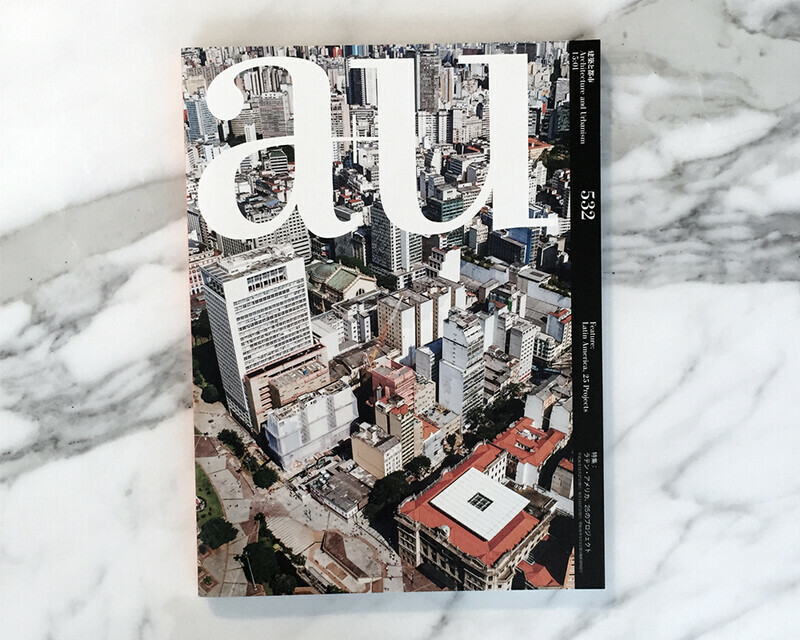 The Japanese architecture magazine A+U published urban research on Quito and Mexico City conducted by Felipe Correa. The material was part of an issue on Latin America guest edited by Francisco Liernur. 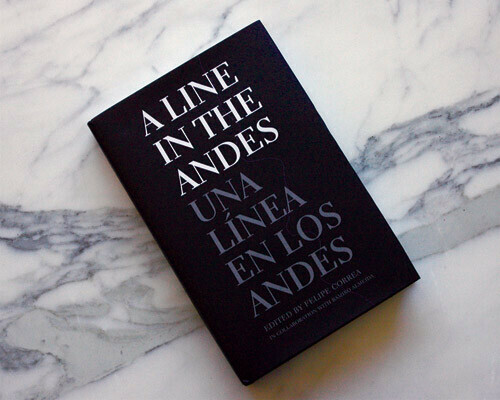 The book, A Line in the Andes, was awarded first prize in the architecture and urbanism book category (E) at the 19th Bienal Panamericana de Arquitectura in Quito, Ecuador. 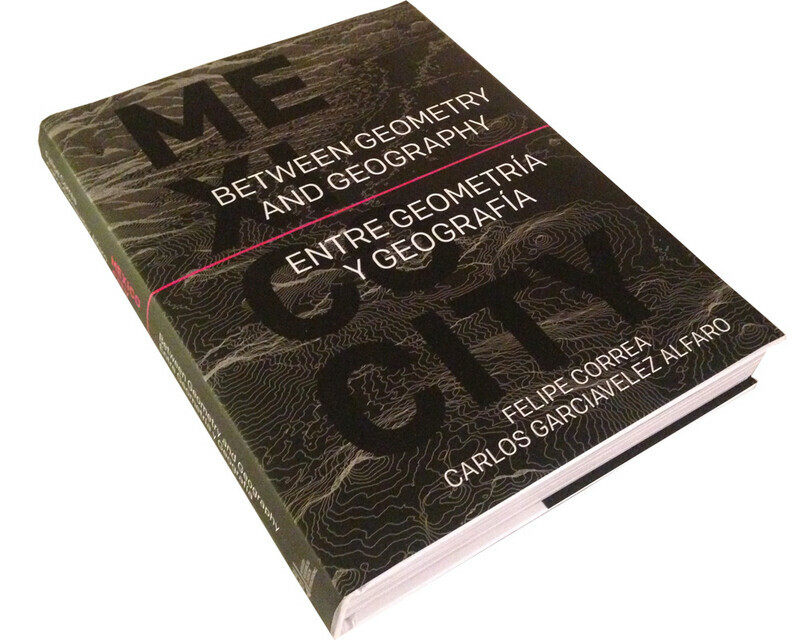 Felipe Correa recently published Mexico City: Between Geometry and Geography, (AR+D Publishing 2014), a monograph that examines—through photography, archival material, and analytical drawings—the urbanistic evolution of Mexico City. 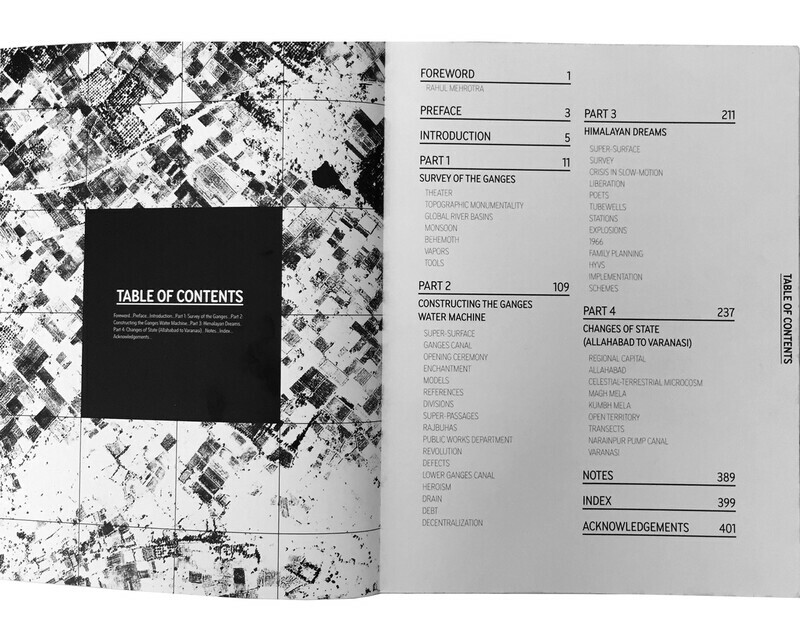 The volume focuses specifically on the relationship between major public works projects and the urban fragments they have created to construct a visual analysis of the most dominant urban morphologies at play in the city. 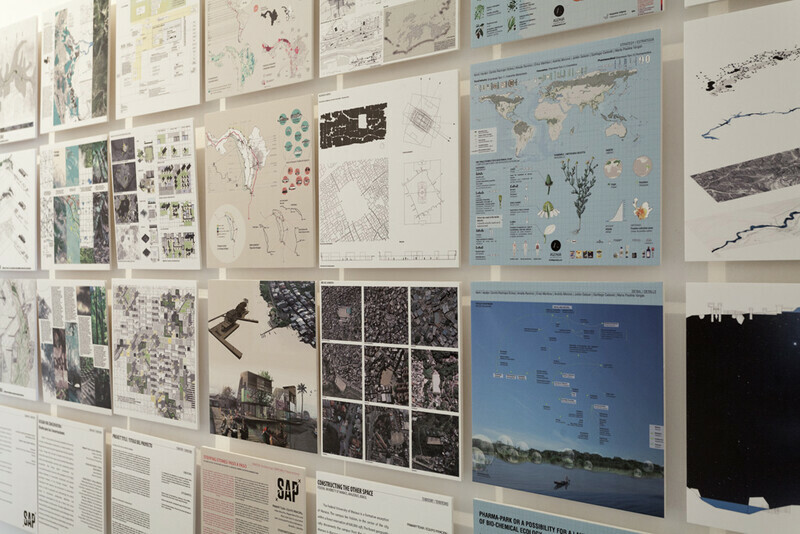 “Surplus Housing”, applied research and design work conducted by Felipe Correa was exhibited at the Grounded Visionaries exhibition at the Harvard Graduate School of Design. The project explores new affordable housing prototypes for intermediate-scale Brazilian cities. A two week workshop “Tokyo: A Synthesis of Scales,” led by Felipe Correa, Associate Professor of Urban Design at Harvard GSD, and supported by the office of Dean Mostafavi, Tokyo- based alumni, and the Mori Corporation, took place from June 24 to July 4th at Toranomon Hills. 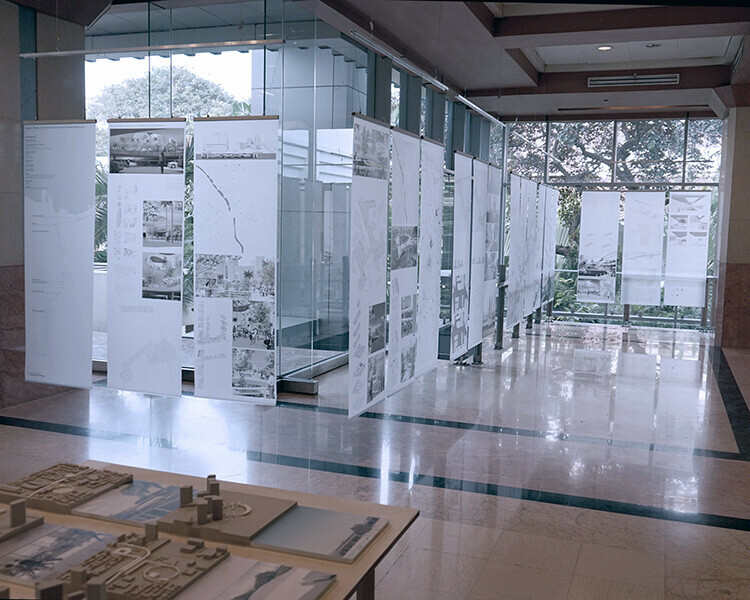 The event explored Tokyo as a unique urban laboratory to examine architecture across a broad range of urban scales. It brought together students and faculty from architecture schools in the region–-including Hosei University, Meiji University, University of Tokyo, and Waseda University–-for a short, yet intense, design exercise. The focus was on rethinking the role of large-scale mobility infrastructure as a driver for much more ambitious urban projects. Students, working in groups across schools, envisioned six experimental urban strategies that emerged at the intersection of architecture, mobility infrastructure, and multiple scales of design. Two projects by Somatic Collaborative, “Chimerical Line” and “Dynamic Atlas”, are featured in the International Architecture Biennale in Rotterdam. Both projects are part of the Biennale’s main exhibition titled Urban by Nature. The show opens today (May 29) to the public. 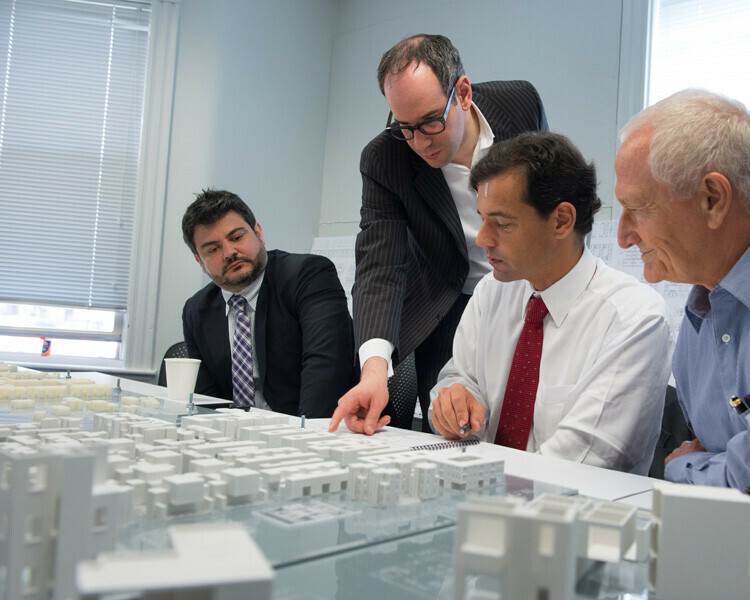 Felipe Correa, through the South America Project, will lead an applied research and design project on affordable housing for intermediate scale Brazilian cities. 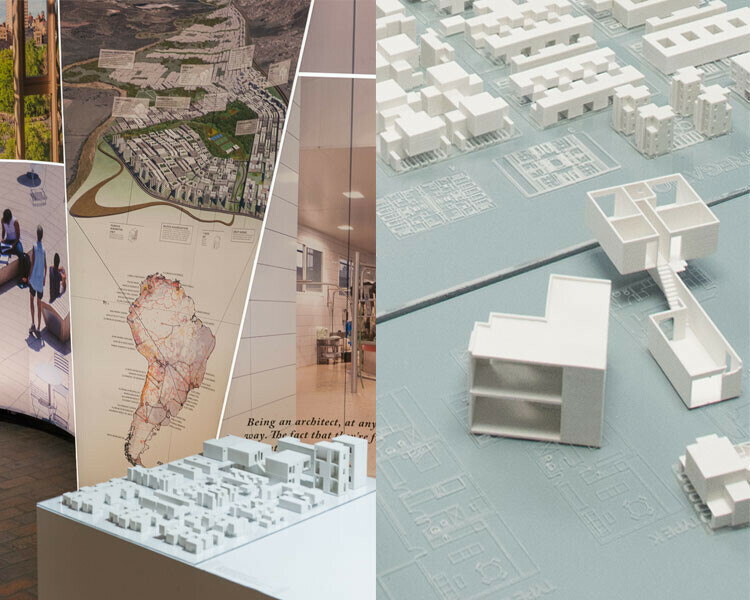 Sponsored by Landinvest, a Sao Paulo based housing agency, the Housing Surplus Project explores how increased density paired with typological diversity and the introduction of collective services can redefine the domestic landscape around consolidated urban edges. Felipe Correa delivered the main lecture on urbanism and landscape at the annual Instituto del Fondo Nacional de la Vivienda para los Trabajadores (INFONAVIT) Conference in Merida, Mexico. The lecture examined the role of housing beyond dwelling, and how an expanded notion of urban housing can serve as a critical component for the restructuring of city districts; particularly when paired with open space and urban mobility projects. Anthony Acciavatti, along with Justin Fowler and Dan Handel, released the first issue of the Journal Manifest, titled “Looking Inward”. The annual publication establishes a critical conversation about the state of American architecture, its cities, and its hinterland. 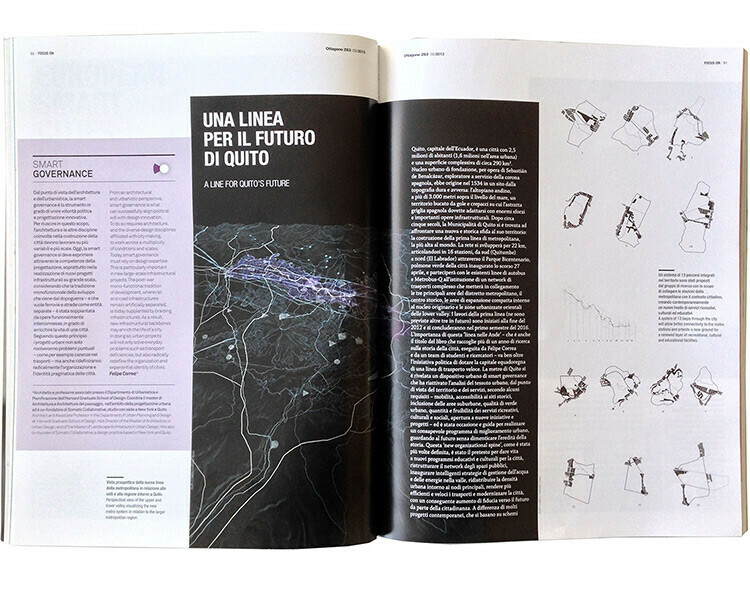 Felipe Correa was featured in the Italian magazine Ottagono as part of their “Smart Cities” issue in August. The journal profiled Correa’s work in Quito in relation to the implementation of the first metro line in the city’s history, highlighting his approach to rethink the metro line as a composite infrastructure that can serve as a backbone for major urban transformation along the city’s linear valley in the 21st century. The South America Project (SAP), a trans-national research network across South America co-directed by Felipe Correa, opened its first work-in-progress exhibition. The show opened at the Centro Cultural Recoleta as part of the Bienal de Buenos Aires. The exhibition was accompanied by a two day symposium on topics related to the SAP. 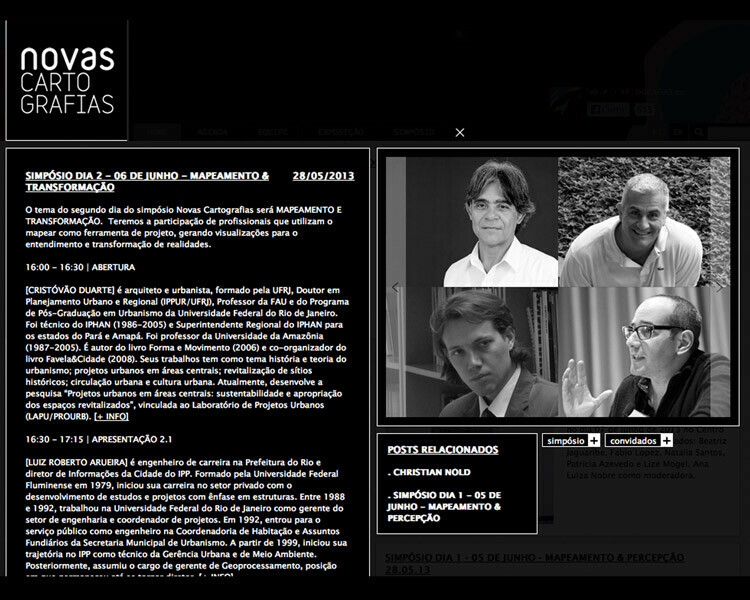 Felipe Correa and Anthony Acciavatti were part of the Novas Cartografias symposium in Rio de Janeiro. Novas Cartografias is a New Rio based think tank tasked to examine mapping as a creative instrument of recognition, criticism and action within urban territories. 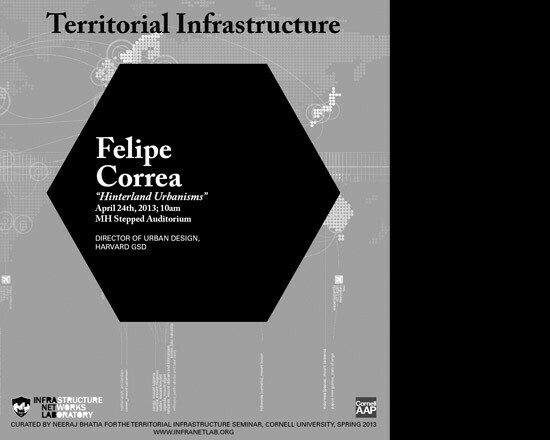 Felipe Correa lectured at the school of Art, Architecture and Planning at Cornell University. The lectured covered his most recent work on resource extraction and urbanization in South America. 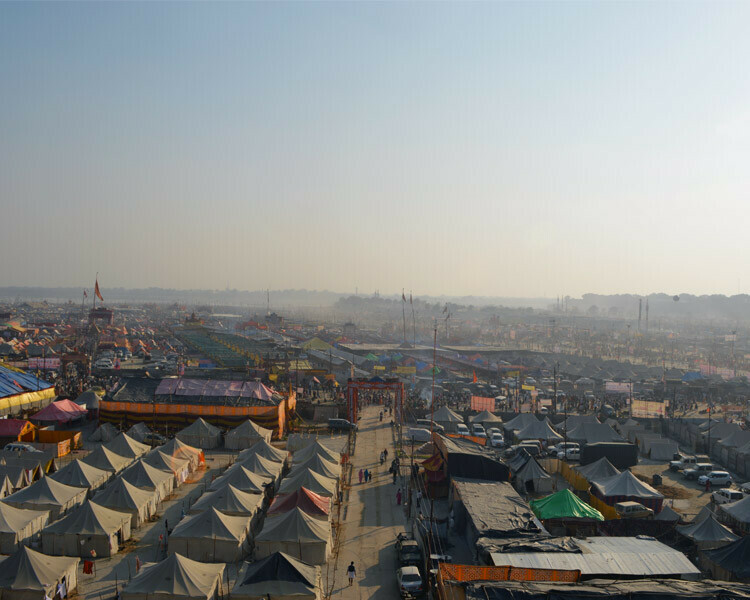 Anthony Acciavatti wrote an editorial column on the Indian Express regarding Somatic Collaborative’s ongoing research on the Kumbh Mela and urbanization along the Ganges River. 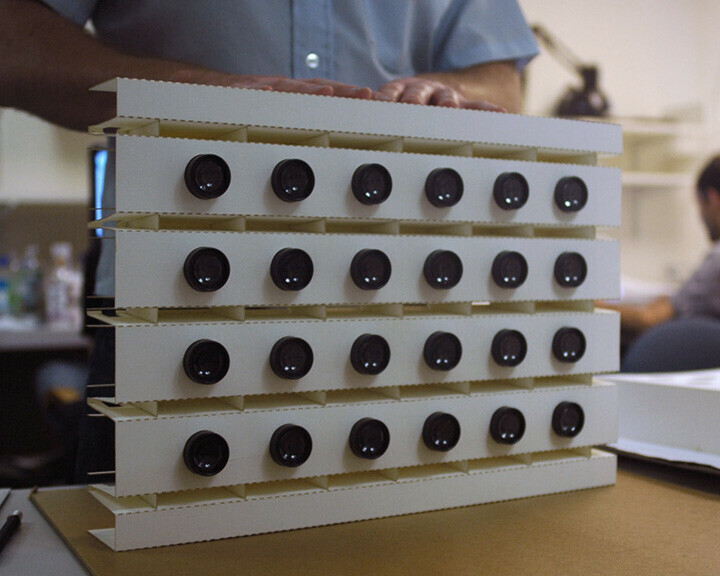 Cabinet Magazine issue 48 features an article by Anthony Acciavatti on psychorheology, a science developed in the late 1930s to explore the psychological ramifications of tactile experience. 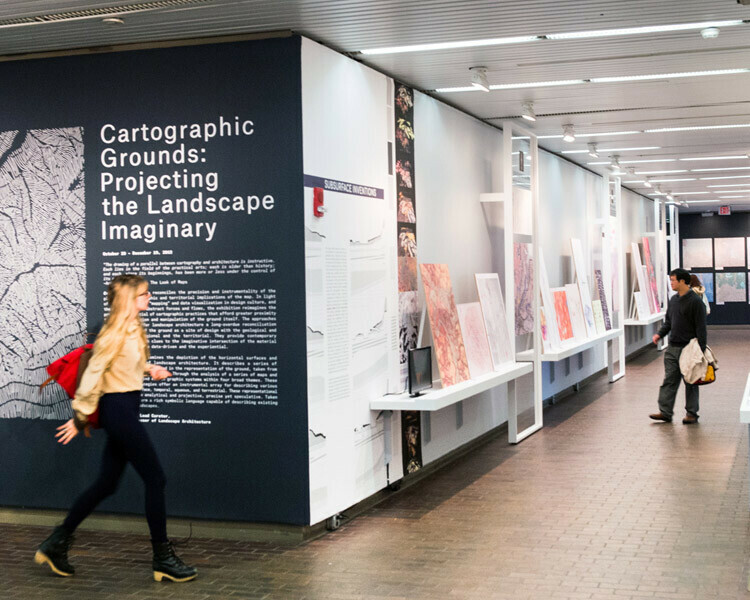 Somatic Collaborative’s project, “The Section as a Tool: A Regional Framework for Alexander von Humboldt’s Avenue of the Volcanoes” is featured in “Places”, as part of the Cartographic Grounds Exhibition at the Harvard Graduate School of Design. The show examines a series of images depicting cartographic practices, from a 13th-century view of the British Isles to contemporary data visualization. A drawing by Felipe Correa from “The Section as a Tool: A Regional Framework for Alexander Von Humboldt’s Avenue of the Volcanoes” (Quito, Ecuador) is currently being exhibited in Cartographic Grounds, an exhibition at the Harvard Graduate School of Design. “A Scheme Without a Plan,” an essay by [[Anthony Acciavatti]] is featured in S.L.U.M. 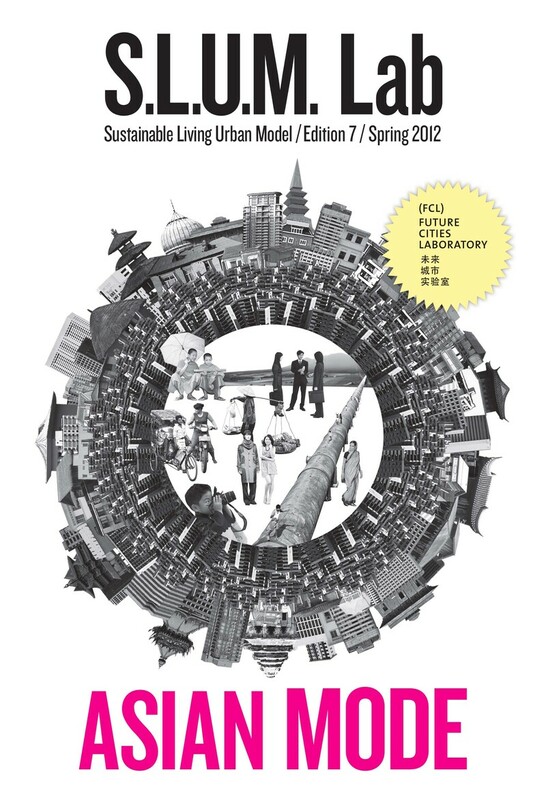 (Sustainable Living Urban Mode), edition 7 (2012). Acciavatti addresses how the Golden Quadrilateral (GQ), a colossal highway system connecting four of India’s major metropolitan areas, has yet to adequately integrate existing settlements. 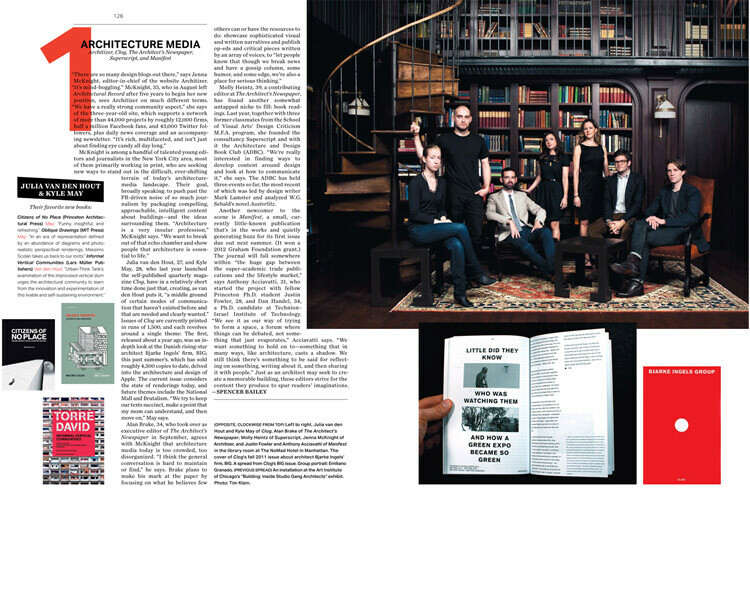 Anthony Acciavatti was featured in the 2012 Portfolio of American Influence in Surface Magazine for his work as co-editor of the new architecture journal Manifest. 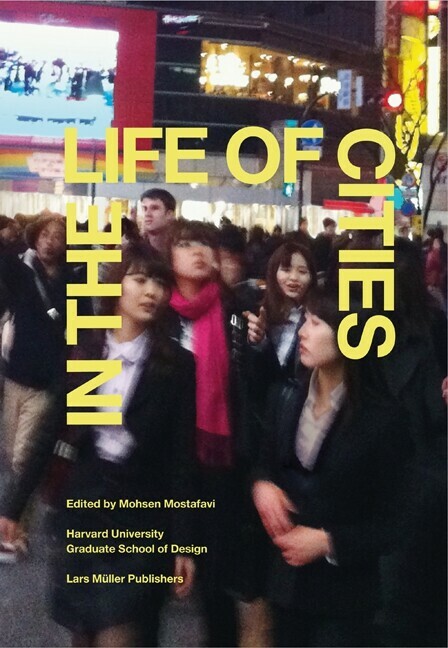 Felipe Correa published an essay titled “Quito: Between consolidated City and New Frontier,” The essay is part of In The Life of Cities, a book edited by Mohsen Mostafavi and published by Lars Meuller Publishers that examines the relationship between urban form and urban life. Felipe Correa presented A Line in the Andes in the URBANISM(S): Sustainable Cities for One Planet conference at Washington University in St. Louis. The lecture focused on the urban transformation of the city of Quito (Ecuador) in relation to the current construction of the first metro line in the city. The journal Manifest issues its first call for papers. Manifest: A Journal of American Architecture and Urbanism is an independent annual print publication edited by Anthony Acciavatti, Justin Fowler, and Dan Handel. Founded as a means to initiate a critical conversation about the state of American architecture, its cities, and its hinterland, Manifest tackles head-on what others have abandoned. While Manifest intends to question the assumptions behind singular notions/constructions of America by tracing its origins and its global influence, the journal also strives to define the uniqueness of American forms of city-building and the distinct set of political parameters through which these forms are shaped. A Line in the Andes —a one year investigation developed at the Harvard Graduate School of Design— examines the transformative role of the first underground metro line currently being implemented in the city of Quito (Ecuador). Through archival material, original drawings, and text, this publication frames the metro project within the city’s historic and current urban form, visualizing the urban potential of this contemporary valley-city. 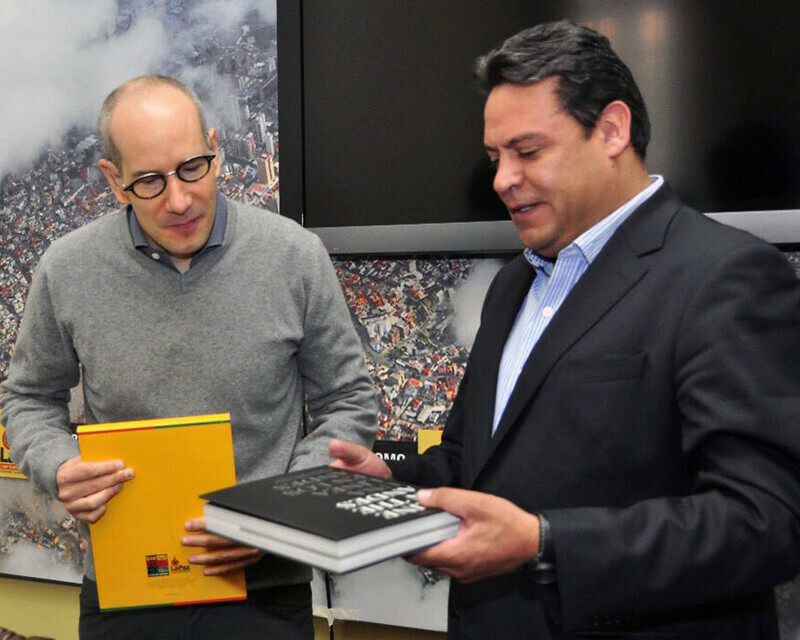 In doing so, the material documented in this book sets the stage for well-informed design deliberations regarding an urban future Quito deserves. The book launch was accompanied by an exhibition which opened at Centro Cultural Eugenio Espejo. Felipe Correa presented recent work by Somatic Collaborative at Universidad de La República in Montevideo (Uruguay). Correa’s visit also marked the launch of the South America Project (SAP) workshops at the Taller Danza, an academic unit within La República’s School of Architecture. 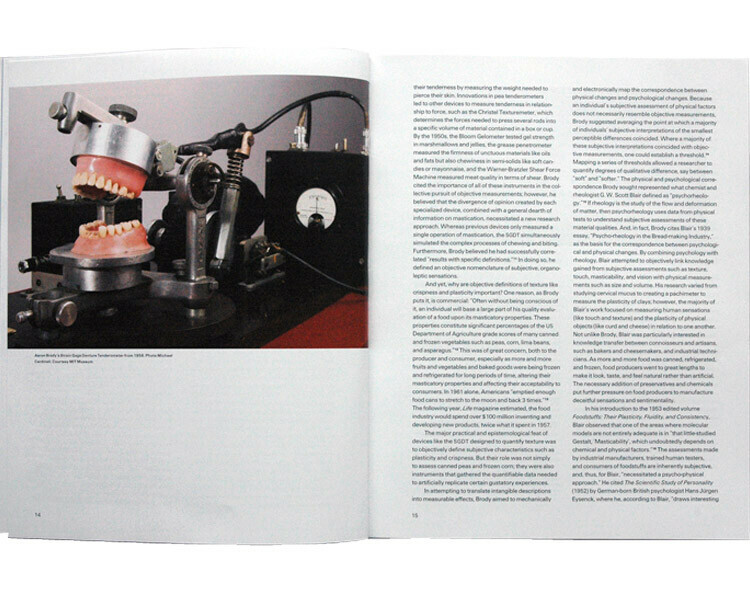 Elective Affinities is a brief catalog that documents recent work by Somatic Collaborative. 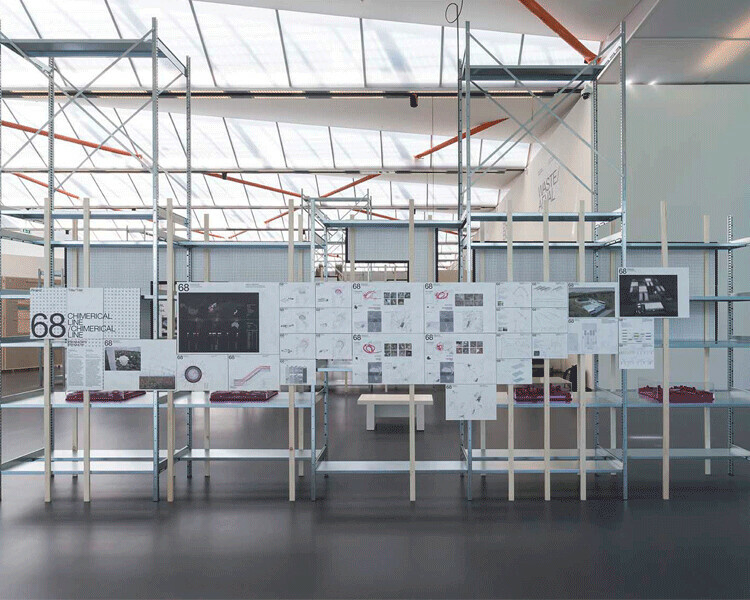 The publication brings together a multiplicity of scales and scenarios the studio has engaged throughout the past 5 years, ranging from installation pieces to open territory plans. Anthony Acciavatti and Felipe Correa presented work at the Princeton/UCLA Watershed Conference in Los Angeles. Both presentations examined the role of water in the organizational structures of diverse urban scenarios. Felipe Correa was interviewed by Juan Jose Kochen from the Mexican Architecture Magazine Arquine during his lecture at the Contexto Congress in Queretaro, Mexico. The interview focused on the current design scenarios of the Latin American city and the toolkit available to designers to engage them. 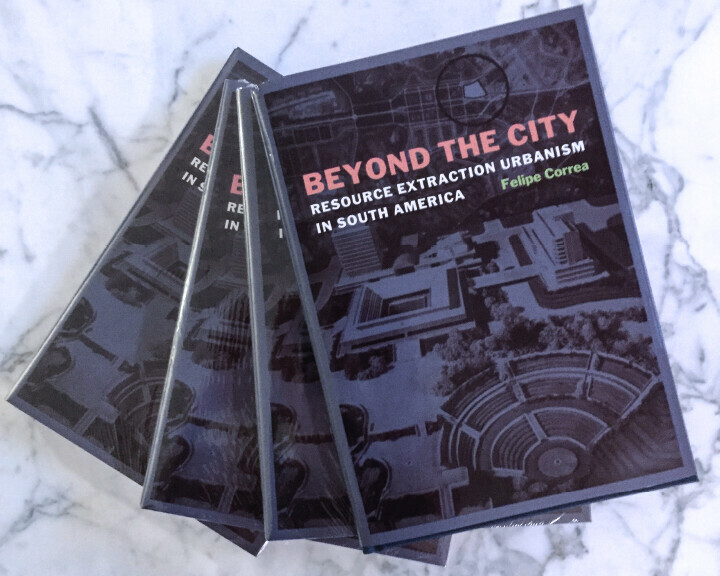 Felipe Correa presented his most recent research work on resource extraction urbanism in the Beyond the Supersquare Conference at the Bronx Museum. The presentation, titled “The Other Post Oil City,” focused on the urban legacy of the oil industry in South America. Anthony Acciavatti presented his most recent historical research on cultivating a colloidal commonwealth in the Midwestern U.S. as part of the panel on science, technology, and environment at the annual meeting of the American Studies Association (ASA) in Baltimore, Maryland. 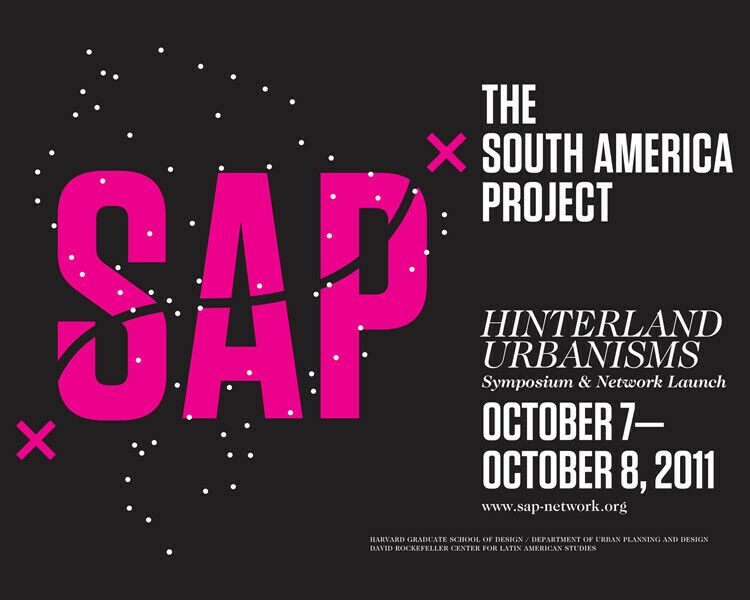 The South America Project (SAP): Hinterland Urbanisms symposium took place at Harvard GSD on October 7th and 8th. 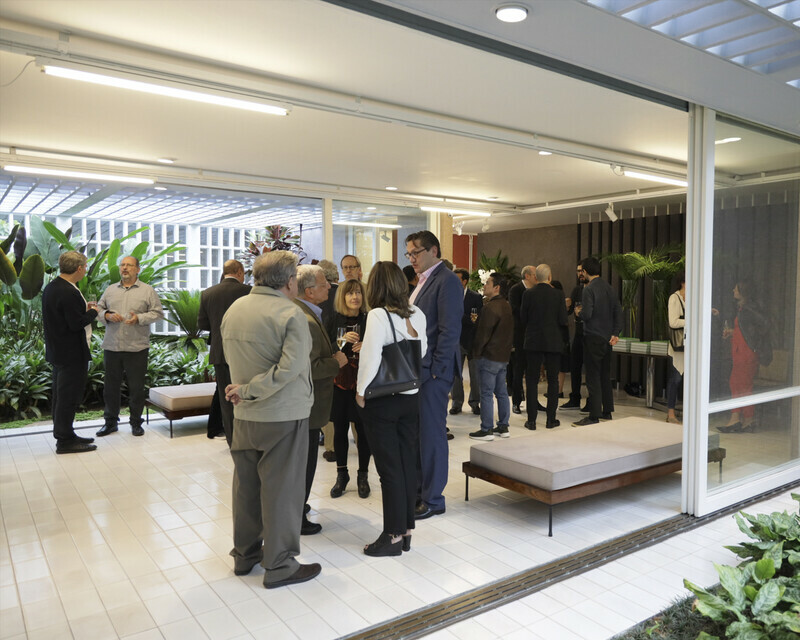 The event marked the launch of an applied research and design network that examines the space of design within recent resource extraction and continental integration policies in South America. Directed and curated by Felipe Correa, Assistant Professor of Urban Design and Ana Maria Duran (Loeb Fellow ’11), the symposium framed the Initiative for the Integration of Regional Infrastructure in South America (IIRSA) as a point of departure for an ample discussion regarding the diverse models of urbanism that emerge at the intersection of resource extraction and continental integration, primarily through mobility corridors. 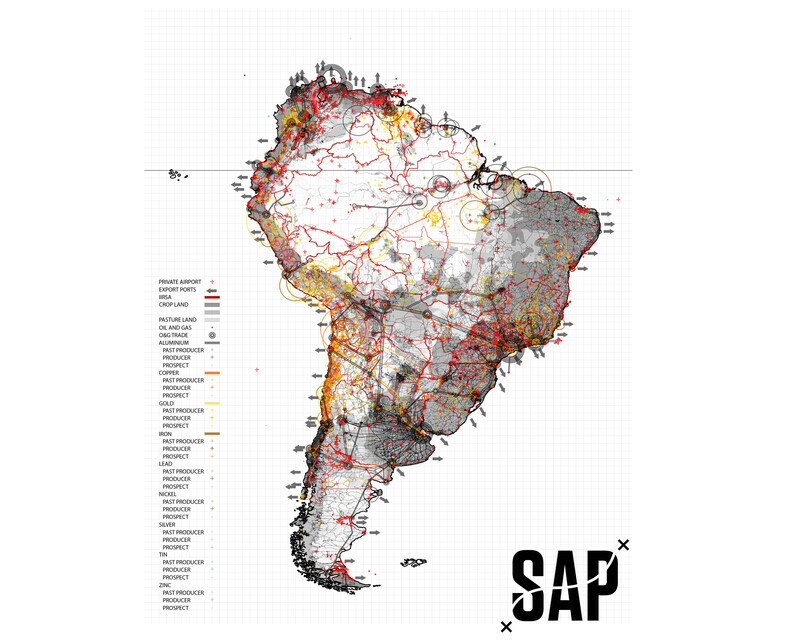 The symposium also marked the launch of the SAP research network, a two-year trans-national platform that through specific case studies and project proposals will examine how a spatial synthesis best afforded by design can provide alternative physical and experiential parameters to the current spatial transformations reshaping the South American Hinterland. “A Well Developed Plan: Wet Monumentality,” an essay by Anthony Acciavatti, is featured in the “Crisis Landscapes” issue of Topos Magazine. Acciavatti singles out the role of water as a cultural driver in the urbanization processes of the Ganges River Basin in northern India. 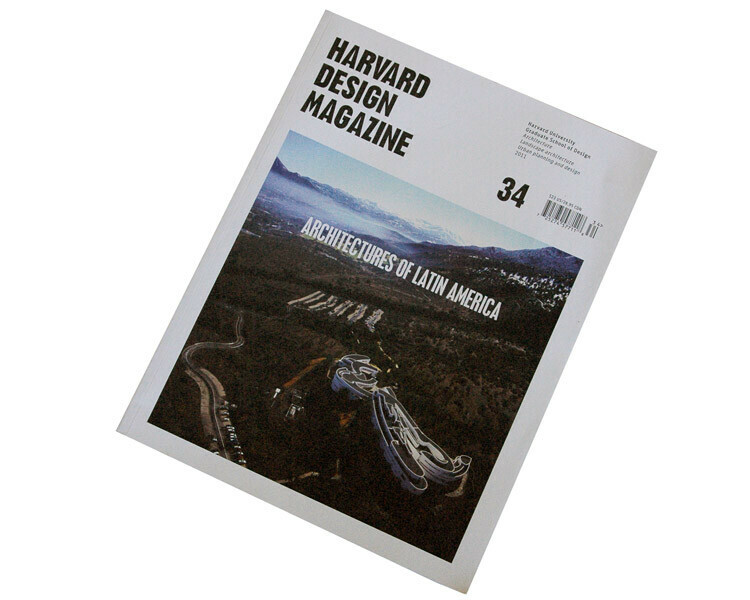 Harvard Design Magazine issue #34, “The Architectures of Latin America” profiles “Resource Extraction Urbanism: A Projective Space for the South American Hinterland.” An essay by Felipe Correa that synthesizes his most recent research on urbanization that emerges at the confluence of resource extraction and continental integration in South America. Anthony Acciavatti presented his sponsored research on architecture, urbanism, and infrastructure along the Ganges River at IIHS in New Delhi, India. The Plaza Republica proposal was recently featured in ArchDaily, the International Business News, and other sites. 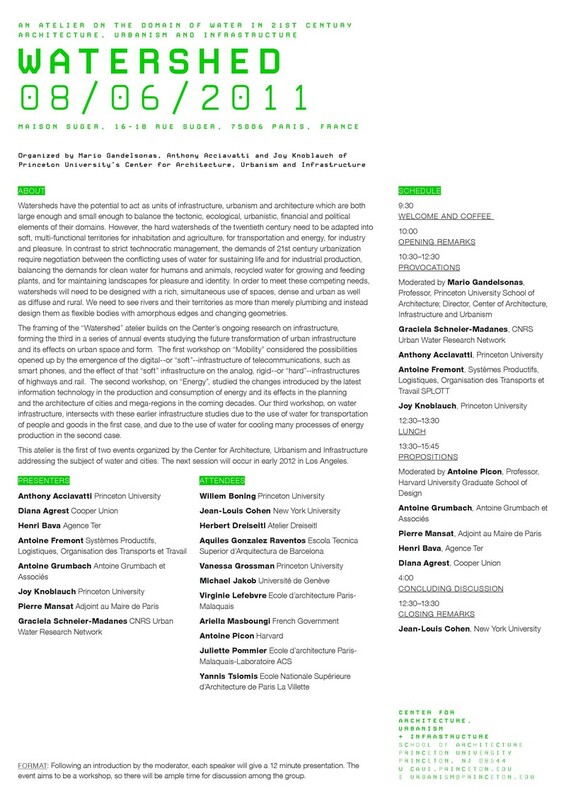 This atelier is the first of two events organized by the Center for Architecture, Urbanism and Infrastructure addressing the subject of water and cities. The next session will occur in early 2012 in Los Angeles. 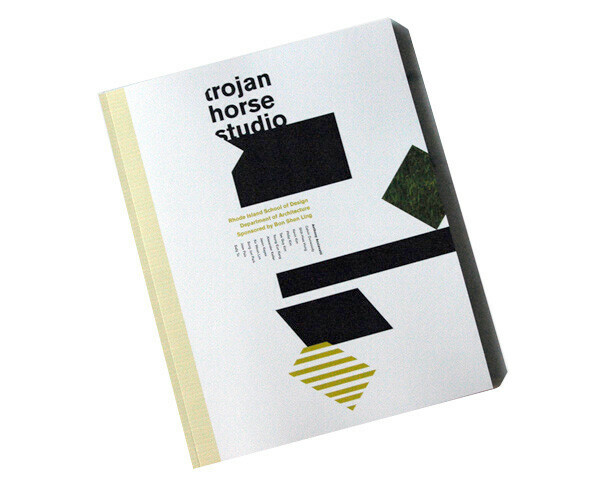 Anthony Acciavatti published Trojan Horse as part of the Rhode Island School of Design (RISD) Department of Architecture publication series. The book documents the work of a traveling advanced architecture research studio at RISD that focused on a new vocational school in the Himalayas. 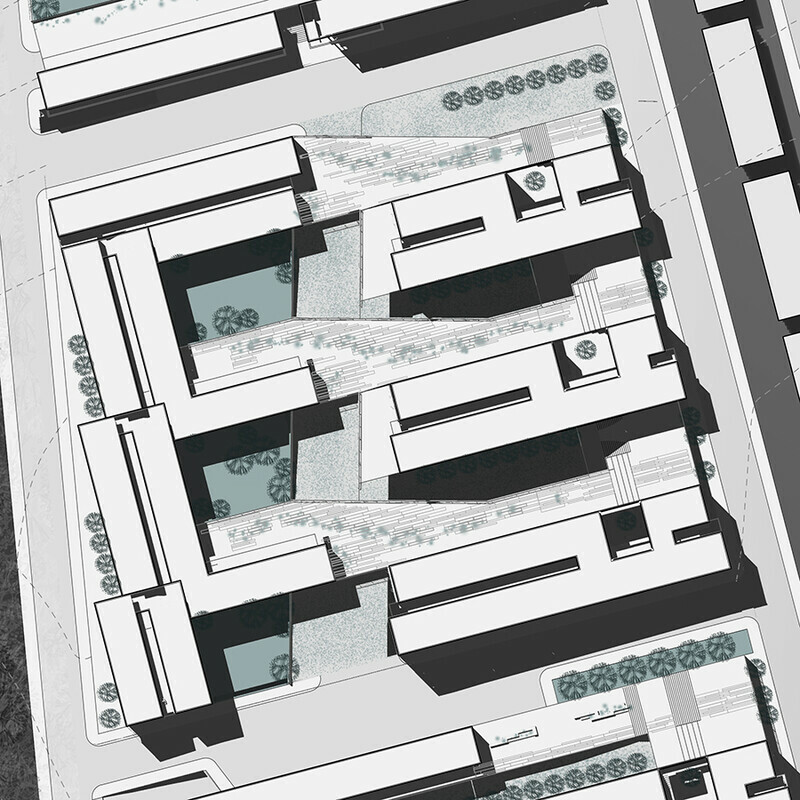 The project, sponsored by the Bon Shen Ling Education Fund, explored how an academic campus could act as the generator and model of a new architectural and urban identity for the foundation. Anthony Acciavatti presents the work by Somatic Collaborative in the Ganges River Basin in India at the 17th Annual ISDRC hosted by the Earth Institute, Columbia University, in partnership with the United Nations Division of Sustainable Development (UNDSD) and the Asian Development Bank Institute, in New York. The three day conference offers a forum to discuss how design and policy engage issues ranging from climate change to rapid urbanization. Felipe Correa presented the latest work of Somatic Collaborative as part of the Graduate Lecture Series at Bernard and Anne Spitzer School of Architecture. Felipe Correa presented the work by Somatic Collaborative in the Phoenix-Tucson megaregion at the Out of Water conference hosted by the Daniels Faculty of Architecture, Landscape and Design at the University of Toronto. The conference offered a forum for water experts in the fields of design, engineering, natural and social sciences to identify specific disciplinary methodologies and areas of applied and theoretical intersections with respect to the technical and sociopolitical implications of water scarcity in arid regions. Anthony Acciavatti presented “Dynamic Atlas: Changes of State along the Ganga River” at a joint lecture between Harvard Graduate School of Design and the Harvard South Asia Initiative. Felipe Correa was part of a round table discussion hosted by the Architecture League of NY and the Korea Society. 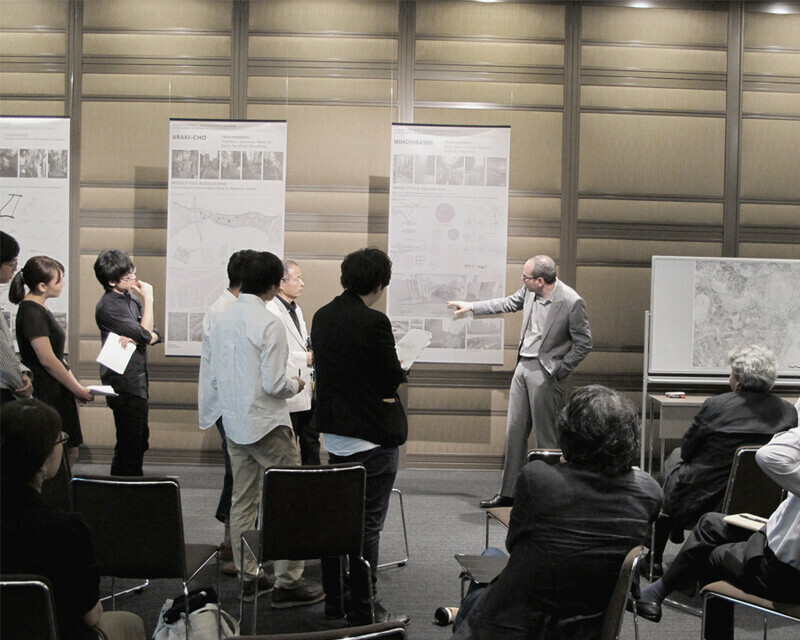 The discussion focused on emerging architectural and urban models for 21st Century Korea. Felipe Correa lectured on November 9th at the Hosn Palace Cultural Hall in Abu Dhabi. The lecture, sponsored by the Abu Dhabi Authority for Culture and Heritage, marked the launch of the publication Invention / Transformation: Strategies for the Qattara / Jimi Oases in Al Ain. 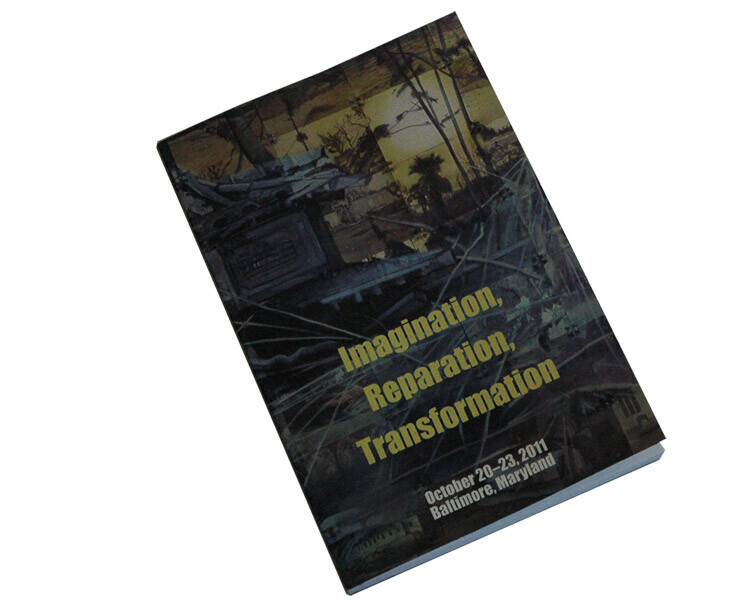 In recent years, the vicissitudes wrought by harsh weather patterns and natural disasters have resulted in hurricanes and earthquakes and had a catastrophic impact on people’s lives. The Ganges River Corridor in northern India is a region that perennially undergoes extreme changes in weather and climate with the onslaught of the monsoon season. Anthony Acciavatti, in his “Dynamic Atlas” series of drawings, has measured the effects of rainfall and agrarian processes in relation to the fast-paced modes of urbanization in the area. 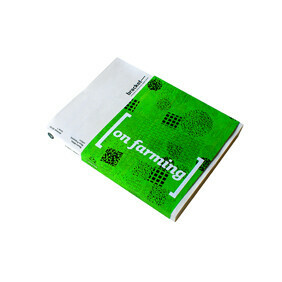 “Precipitating a Productive Countryside: A Renewed Company-Town Model” by Anthony Acciavatti will appear in the next issue of Bracket titled “On Farming.” The article highlights a series of design interventions and provocations for a new company town model on the island of Ireland. The design approach of the Somatic Collaborative was featured in issue 32 of Harvard Design Magazine, “Design Practices Now Vol. 1”. The article documents a broader conversation among eight young designers and their take on contemporary modes of practice. Dwell magazine featured the “Friends of the Future” postcard initiative, conceived by Anthony Acciavatti with students from the Rhode Island School of Design. The project involved printing 36,000 postcards that reconceptualize the rest stop as an intermodal infrastructure that can negotiate between rail and private mobility. 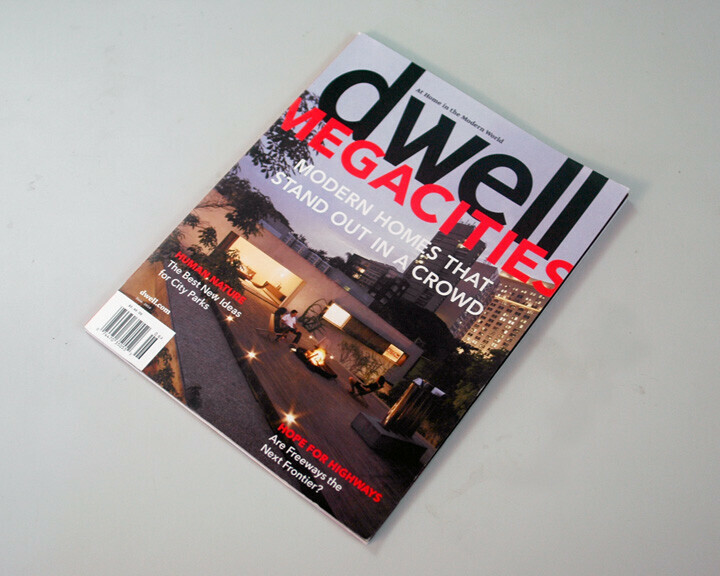 The article, written by Karrie Jacobs, was part of a larger piece on new urban concepts. Felipe Correa presented “Nested Scales: Recent work by Somatic Collaborative” at Konkuk University in Seoul, Korea. Somatic Collaborative was selected as part of the POST POST POST show opening in Buenos Aires, Argentina in June. The exhibition will bring together 100 emerging architecture practices from Latin America and Spain. The publication, Invention / Transformation: Strategies for the Qattara / Jimi Oases in Al Ain, co-edited by Felipe Correa with Jorge Silvetti, was launched in Abu Dhabi on March 15th. The work presented in this publication documents a one year investigation, through design studios at the Harvard Graduate School of Design, of the Qattara / Jimi Oases in Al Ain (United Arab Emirates). 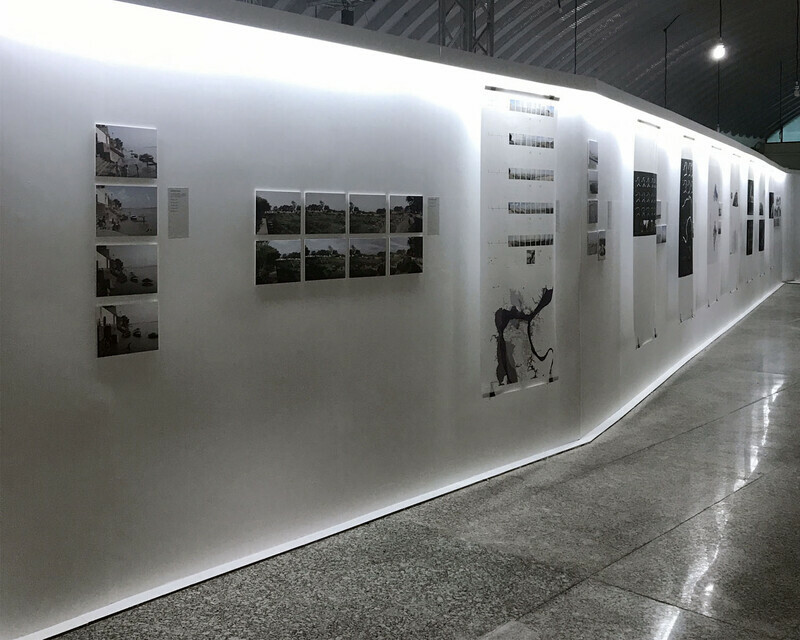 This research initiative, sponsored by the Abu Dhabi Authority for Culture and Heritage (ADACH), explores the time-honored tradition of the oases as facilitators of settlement in the region and examines their inherent potential to act as new forms of collective space for present day Al Ain. Anthony Acciavatti was awarded a Professional Development Fund grant from the Rhode Island School of Design for research on a new paradigm for a sustainable Corn Belt infrastructure. 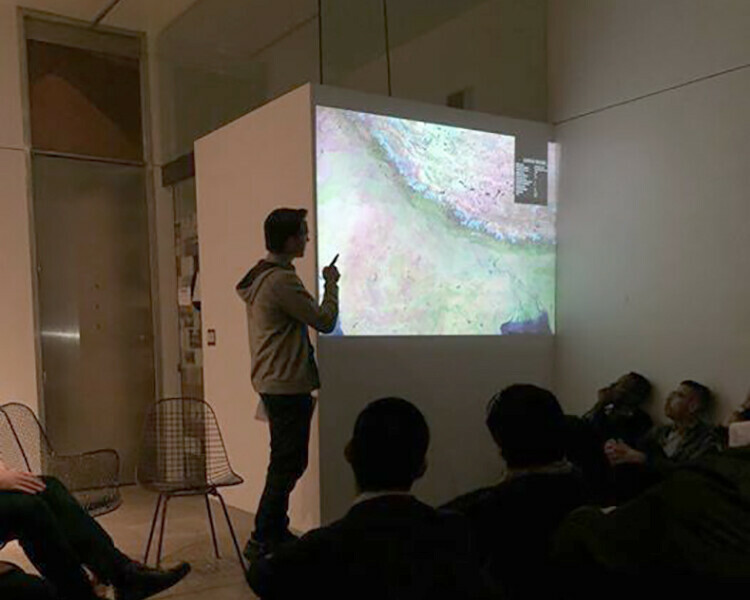 Anthony Acciavatti presented “Changes of State Along the Ganges River Corridor” as part of the Post-Graduate/Staff Research lecture series at the University of Adelaide School of Architecture, Landscape Architecture, and Urban Design in Adelaide, Australia. MONU magazine on urbanism is a unique bi-annual international forum for artists, writers and designers that are working on topics of urban culture, development and politics. 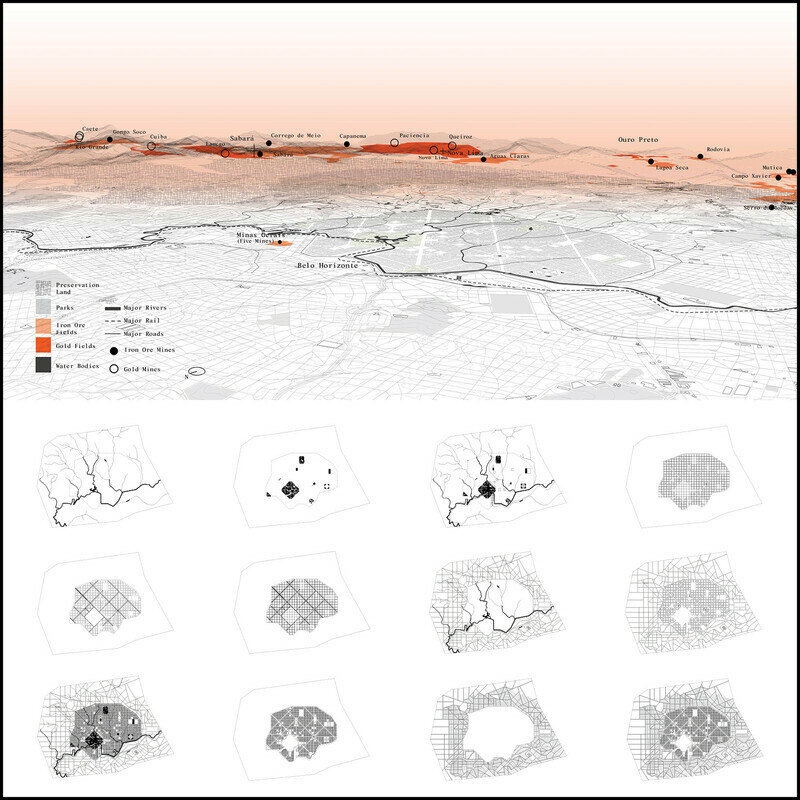 Felipe Correa presented “Nested Scales: Recent work by the Somatic Collaborative” as part of the lecture series at the Arizona State University School of Architecture and Landscape Architecture. “Post Card Projects: Wish You Were Here” was published in Art on Paper Vol. 14 no. 1 by Rebecca Sears. The article features the research-based studio taught by Anthony Acciavatti at the Rhode Island School of Design, Department of Architecture traveling exhibition titled Friends of the Future: Rethinking Freeway | Rail | Rest Stops Along I-95. “Ile Flottante,” Somatic Collaborative’s entry was selected for New Orleans Descours event. “Ile Flottante,” an investigation on self-supporting “soft structures,” attempts to laminate into a single experience this distant relationship between the protected nature of the New Orleans inner-block courtyard and the extreme material forces of the fluid environment that surrounds the city. “Friends of the Future: Rethinking Freeway | Rail | Rest Stops along I-95,” a research based studio taught by Anthony Acciavatti at the Rhode Island School of Design, Department of Architecture opens along the I-95 Corridor at rest stops and welcome centers in Rhode Island and Connecticut. “Friends of the Future: Rethinking Freeway | Rail | Rest Stops along I-95,” a research-based studio taught by Anthony Acciavatti at the Rhode Island School of Design, Department of Architecture is featured as part of the RISD architecture show at the Beyond Media International Festival at Stazione Leopolda in Florence, Italy. Felipe Correa presented Somatic Collaborative’s work on the Phoenix-Tucson megaregion at Unspoken Borders, a symposium at the University of Pennsylvania. 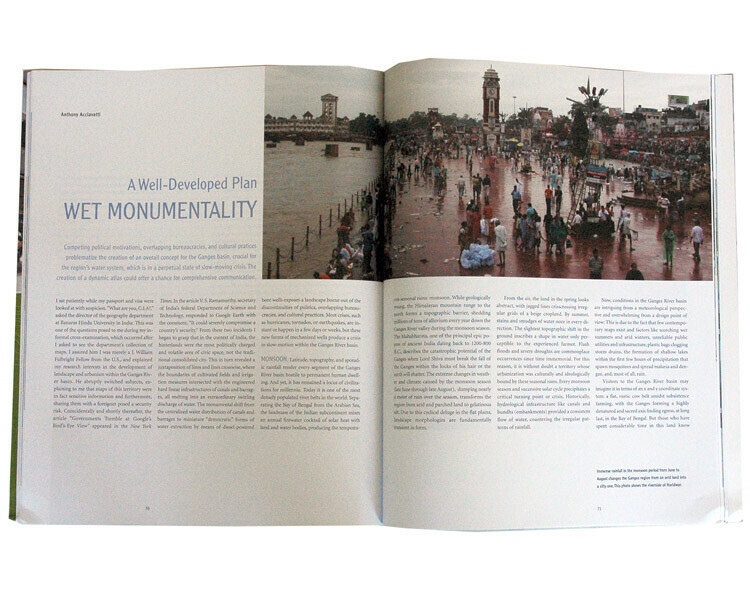 “Hydraulic Pastoralism: The Ganges Canal, India” was published in ON SITE #21, “Architecture + Weather.” ON SITE magazine is a bi-annual international theme-based journal of architecture and design. Felipe Correa presented the most recent work of Somatic Collaborative at the School of Architecture at Universidad Internacional del Ecuador. Anthony Acciavatti recently presented “The Wiles of Infrastructure and Urbanism in the Hinterland of North India” at the 37th Annual Conference on South Asia where he chaired the Urban Studies Session. The symposium, organized by the South Asia Center at the University of Wisconsin—Madison, hosts scholars who travel from over a dozen countries to present research on South Asia. 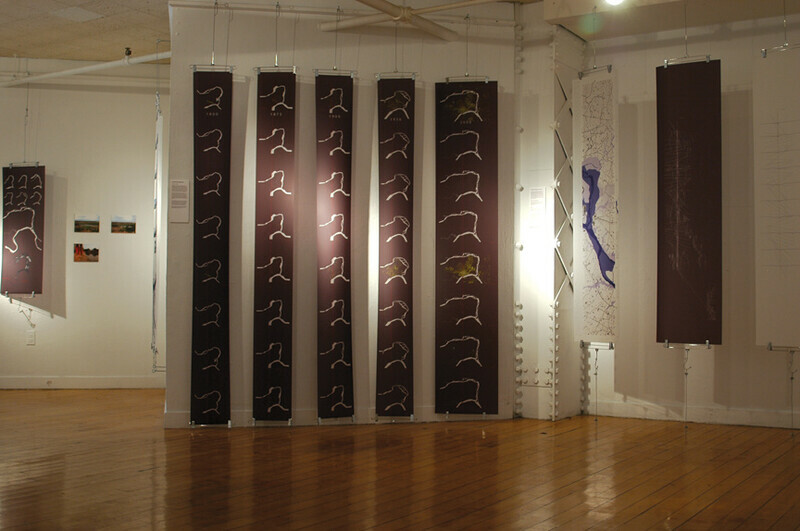 The work of the Somatic Collaborative was exhibited recently exhibited at the Centro Cultural de Espana en Buenos Aires. It was part of a group show and conference titled Nunca Fuimos Eternos (We Were Never Eternal), curated by Florencia Rodriguez. Felipe Correa presented a lecture on the work as part of the event. Felipe Correa recently presented in the LANDSCAPE + REPRESENTATION Symposium held at the AIA Center for Architecture, New York City. The symposium, organized by Gonzalo Cruz for ASLA NY, revisited current methods and techniques in the representation of diverse landscapes. Anthony Acciavatti presented “Dynamic Atlas: Urbanism along the Ganga River Corridor” at IIT-Roorkee (Indian Institute of Technology— Roorkee) , India. The “Magok Waterfront Redevelopment Project” by Somatic Collaborative was recently featured in the Korean journal Architecture and Culture. 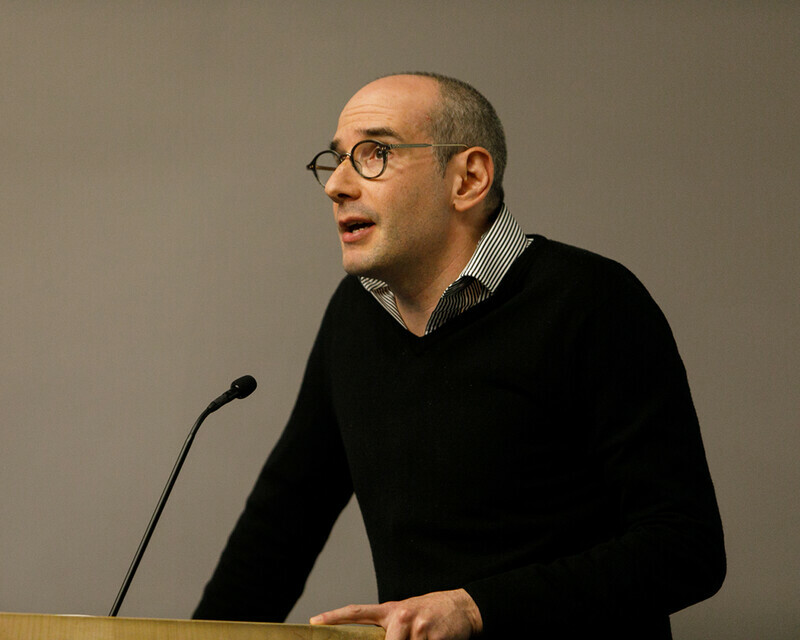 Anthony Acciavatti recently presented “Engendering the Wet along the Ganges River Corridor, India” at the Skidmore, Owings, and Merrill Lecture Series in New York City. 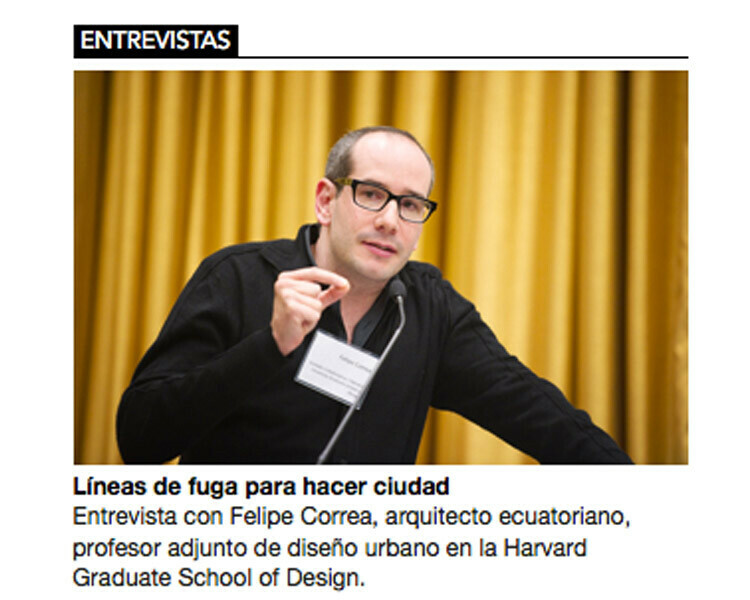 Felipe Correa was appointed Assistant Professor of Urban Design at Harvard University’s Graduate School of Design. Somatic Collaborative wins third prize in the Magok Waterfront International Competition in Seoul, Korea. Felipe Correa received a Graham Foundation grant for “Scarcity: Bipolar Urbanisms in the Sonoran Desert”. Taking the Phoenix–Tucson megaregion as a point of departure, this research initiative explores the relationship between fast-paced forms of urban development in North American cities and a host of environmental resources that enable their existence. 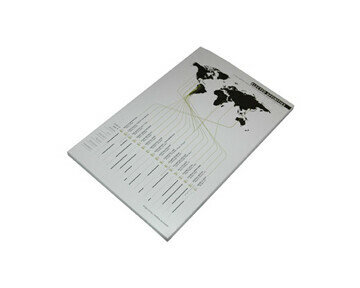 edited by Joan Busquets and Felipe Correa, was recently published by the Harvard Graduate School of Design. The publication documents a one year investigation that explores the role of rail in the restructuring of Catalunya’s hinterlands in relation to the denser littoral edge. “Ancient Geographies—New Frontiers” published in Sarai Reader #7: Frontiers. Sarai Reader is an annual publication structured around a specific theme and features articles, essays, reviews & criticism, interviews and photographic essays. The readers are interdisciplinary invite and commission writings by practitioners, academics, activists and artists from diverse fields. 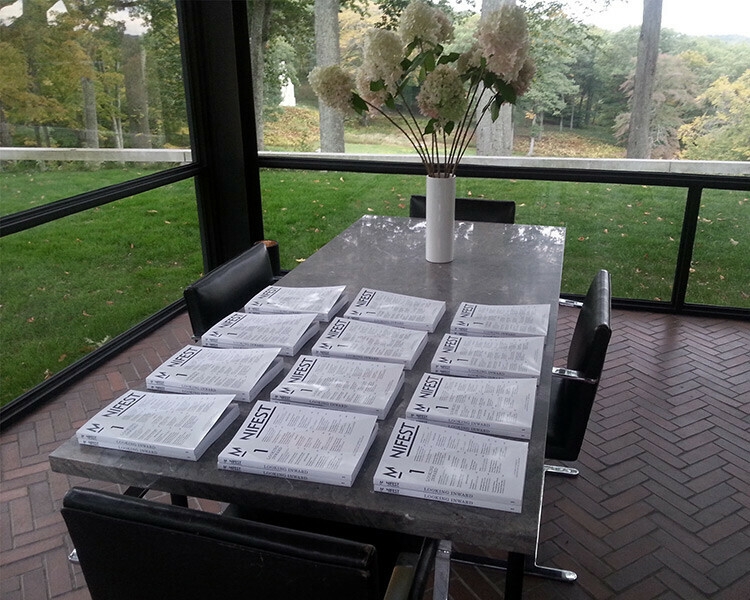 Felipe Correa presented “Material Geographies” at the Rhode Island School of Design. Felipe Correa delivered a lecture titled “Quito: The Potential of the Void” at Universidad Catolica’s School of Architecture. 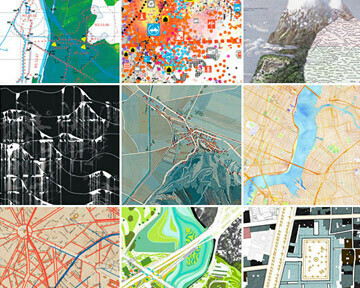 Felipe Correa presented “Cities X Lines” in the summer lecture series at Columbia University. “Cities X Lines” is part of a research project conducted at the Harvard Graduate School of Design by Joan Busquets and Felipe Correa that singles out the most salient methods and tools with which designers are currently shaping cities and open territories. Felipe Correa presented “New Orleans: An Infrastructure for a Riparian Ground” at the Foro de la Ciudad, in Santander, Spain. 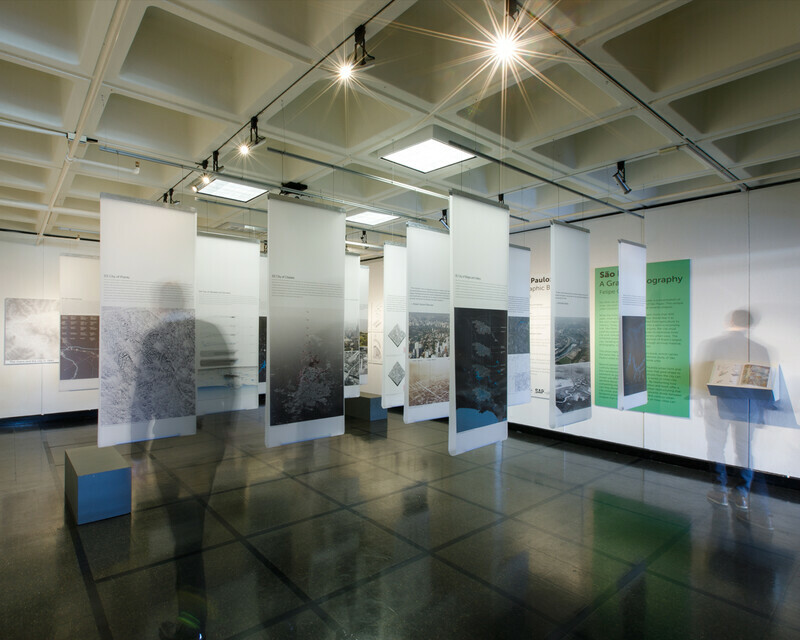 Anthony Acciavatti exhibited “Dynamic Atlas: Engendering the Wet” at the Rhode Island School of Design Department of Architecture in Providence, Rhode Island. Anthony Acciavatti’s research is featured in the February 06, 2007 edition of the Times of India newspaper in an article titled, “Humans Suffocating Ganga: Startling Facts Brought Forth By U.S. Scholar,” by Rajiv Manis. Anthony Acciavatti delivered a lecture titled “Riparian, Agrarian, and Urban: Allahabad to Varanasi” at the National Institute of Design in Ahmedabad, India. 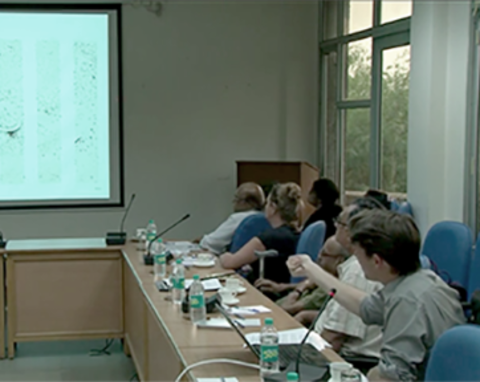 Anthony Acciavatti lectured at Jamia Millia Islamia University, Department of Architecture and Ekistics in New Delhi where he presented “Riparian, Agrarian, and Urban: Allahabad to Varanasi,” based on his research on urbanism along the Ganga River, India. Anthony Acciavatti lectures at C.E.P.T. University (Centre for Environmental Planning and Technology), Dept of Architecture on his research on urbanism and architecture in northern India. Anthony Acciavatti delivered a lecture titled “The Role of Representation in Engendering the Wet” at the Lucknow College of Architecture in Lucknow, India. Anthony Acciavatti exhibits the “Dynamic Atlas: Engendering the Wet” at the Pan-American Architecture Biennale in Quito, Ecuador. Acciavatti also delivered a lecture at the opening of the event. Felipe Correa presented Cities X Lines: A New Lens for the Urbanistic Project at the 15th Pan American Architecture Biennale in Quito, Ecuador. Anthony Acciavatti participates in the Indian Enigmas Exhibition at the Indira Gandhi National Centre for the Arts in New Delhi, India. Anthony Acciavatti was invited to give a lecture titled “Riparian, Agrarian, and Urban: Allahabad to Varanasi” at the Ford Foundation in New Delhi, India. Anthony Acciavatti was awarded a fellowship by the Ford Foundation in New Delhi, India to continue his research on urbanism and infrastructure along the Ganges River Corridor. Felipe Correa was part of the round table discussion, “A Conversation on New Orleans,” as part of the Engaging the City lecture series at the National Arts Club in New York City. Felipe Correa lectured on “Forms of Engagement: the Added Value of the Urbanistic Project” at the University of Allahabad, in Allahabad India. Felipe Correa presented the lecture “New Orleans and the Construction of Ground” at the Tulane School of Architecture. Anthony Acciavatti presented “Constructing a Dynamic Atlas” at the Annual J. William Fulbright Conference in Chandigarh, India. Anthony Acciavatti was invited to present a lecture titled “The Role of Representation in Engendering the Wet” at the National Seminar on Water Management at Allahabad University in Allahabad, India. Anthony Acciavatti receives a J. William Fulbright Fellowship to travel to India and create what he calls a “Dynamic Atlas” of urbanization along the Ganges River Corridor. He will be a visiting research scholar in the Department of Geography and Town & Country Planning at Allahabad University, India.